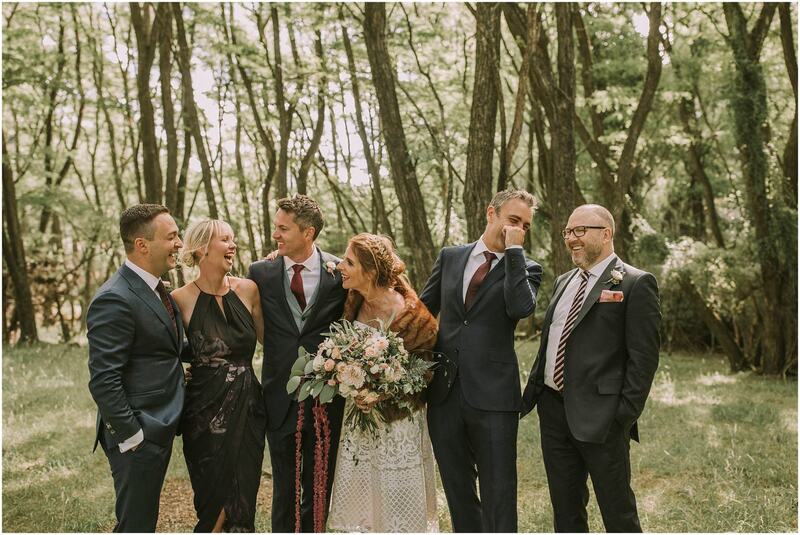 What a day Tara and Tim’s wedding was! 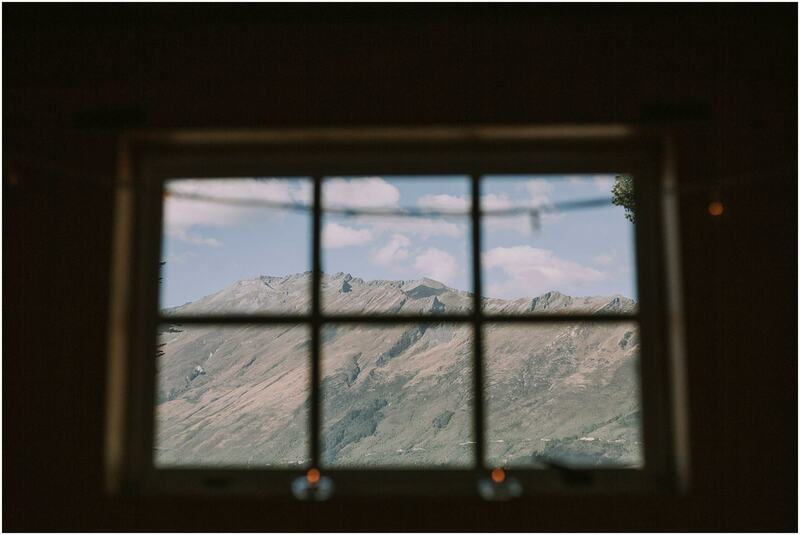 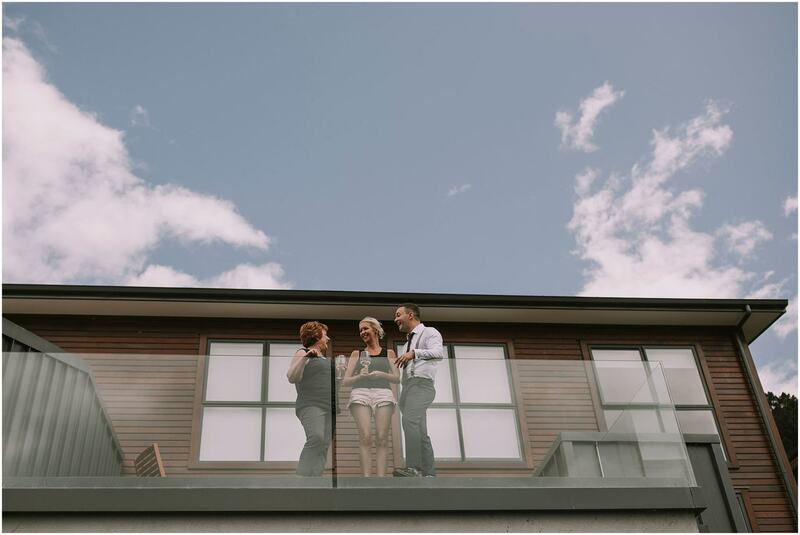 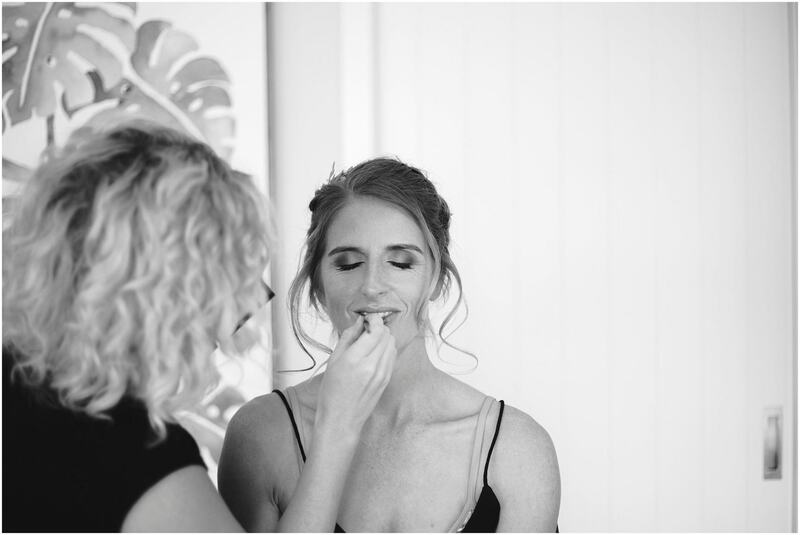 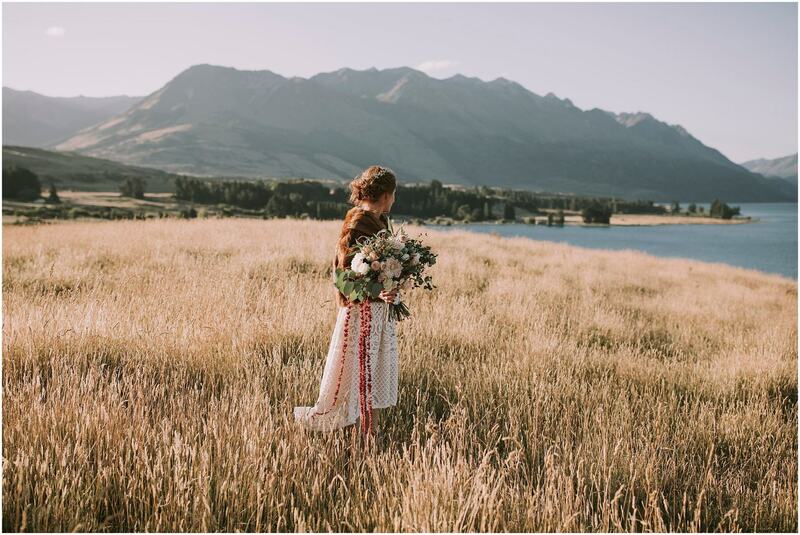 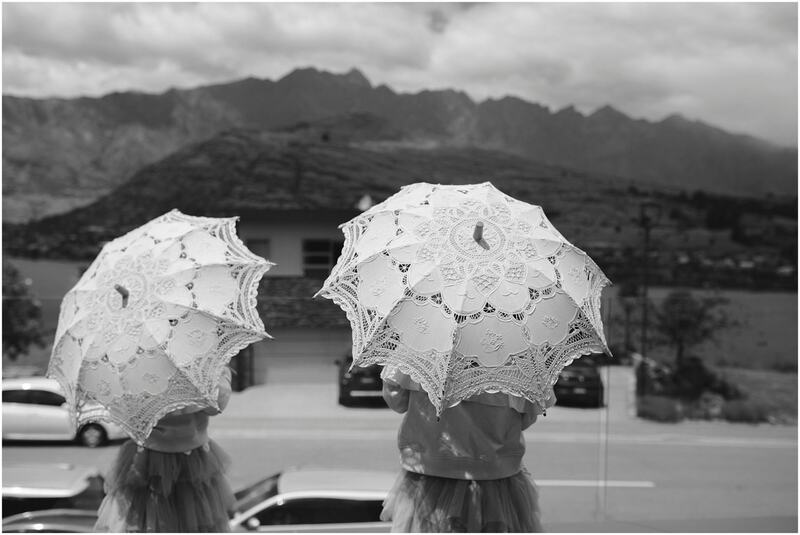 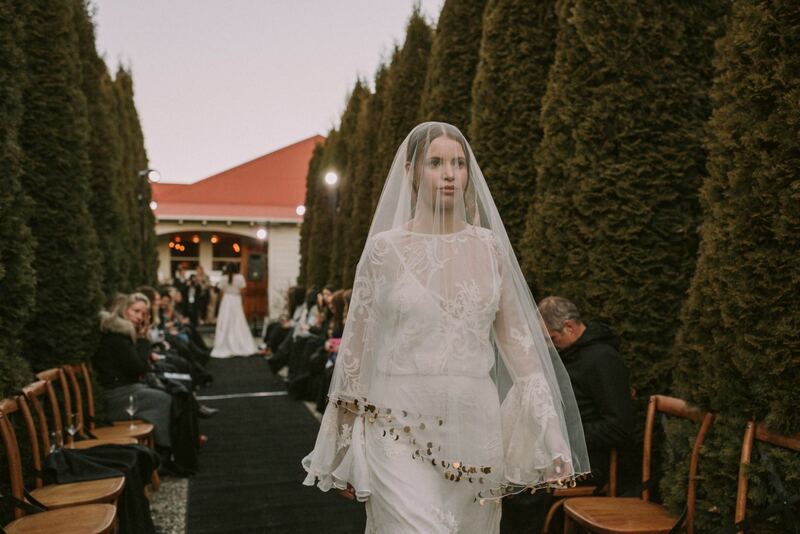 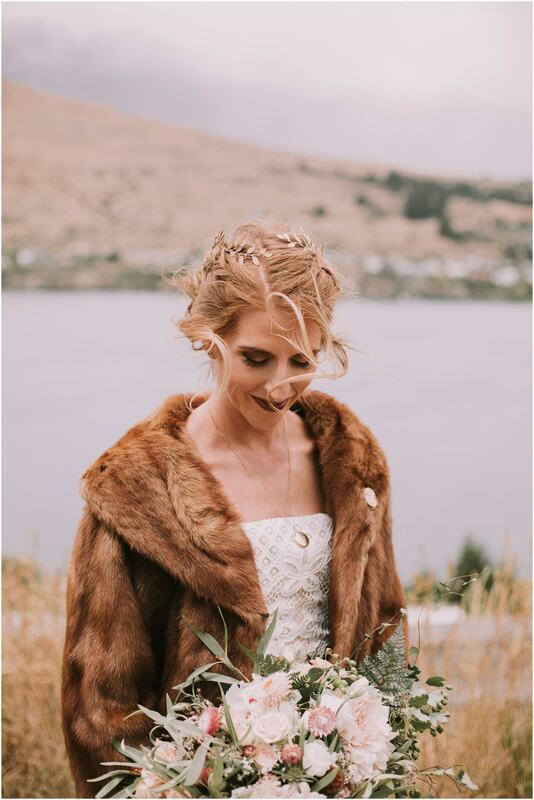 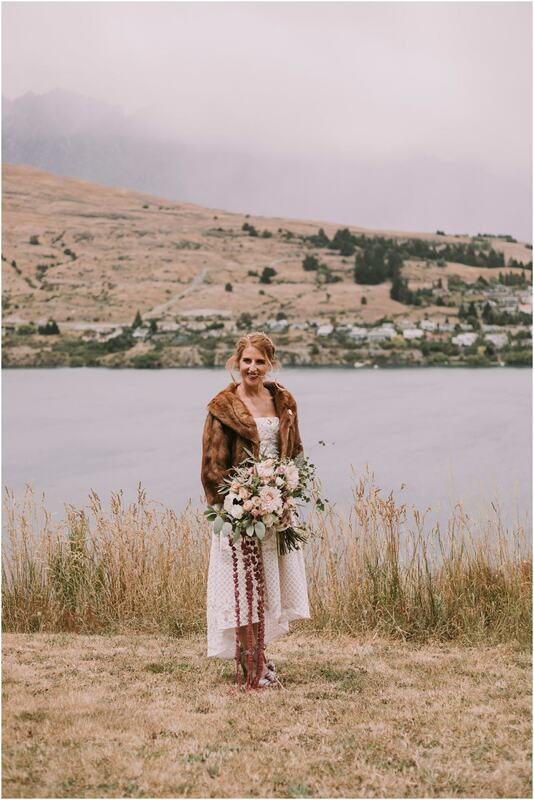 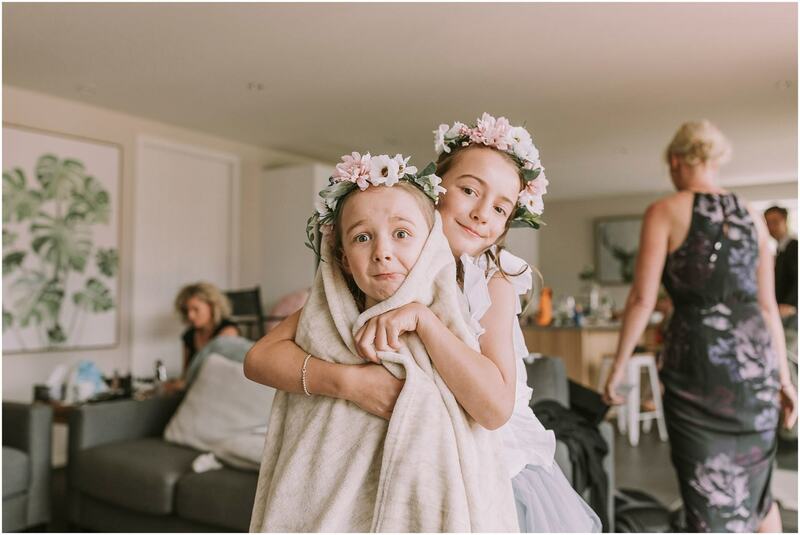 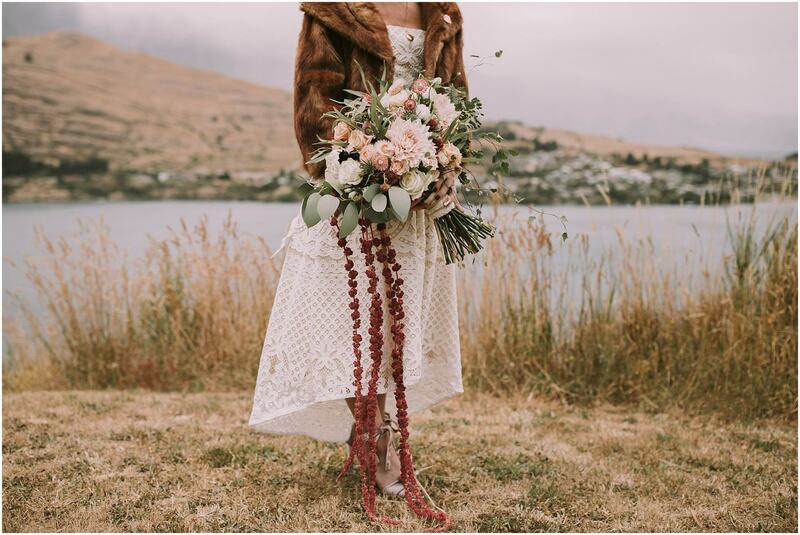 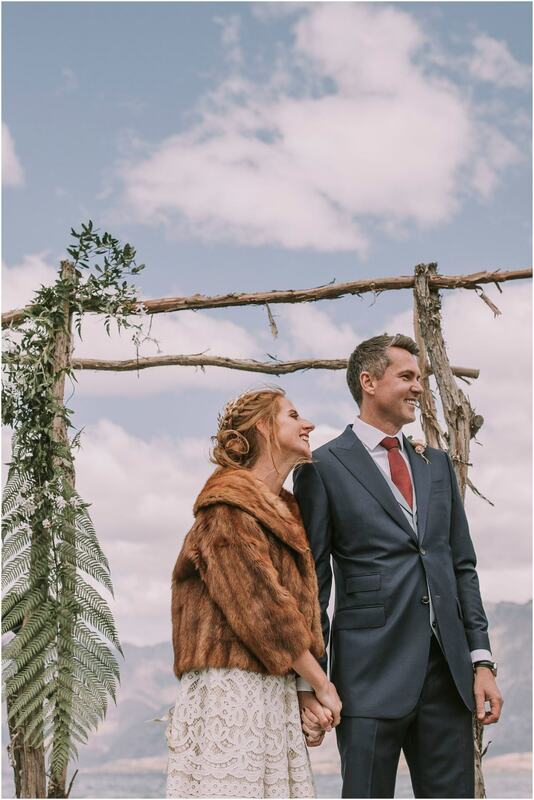 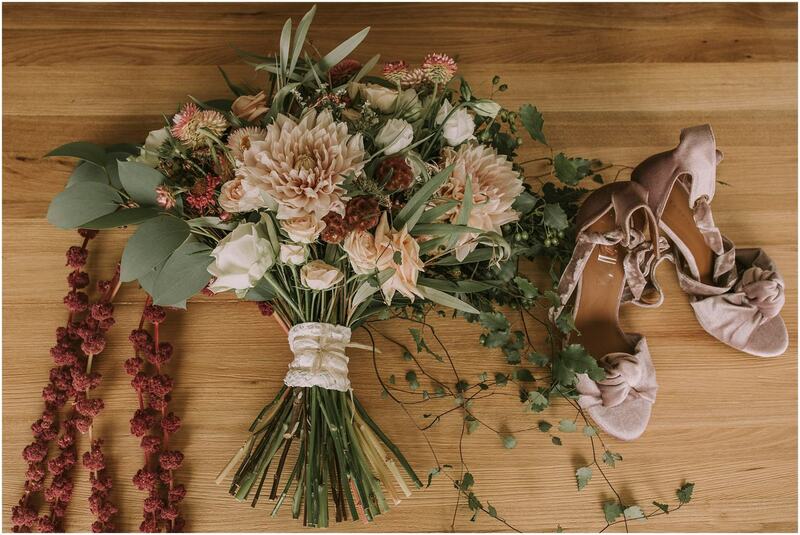 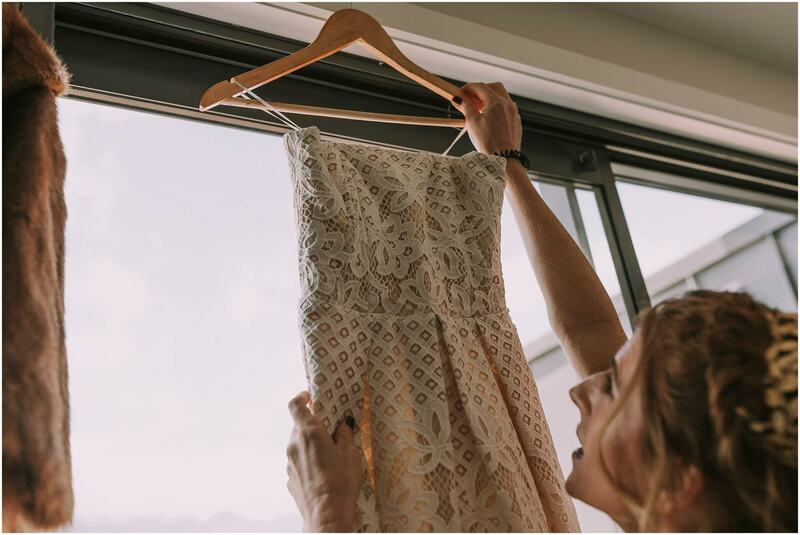 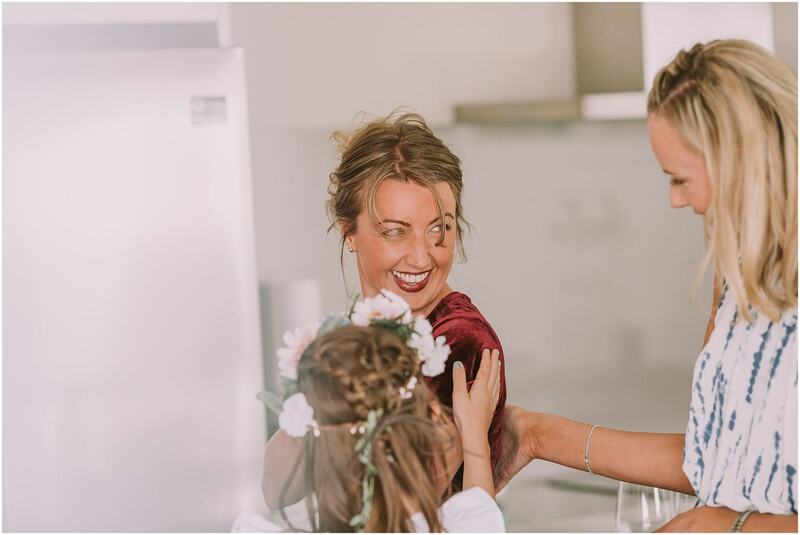 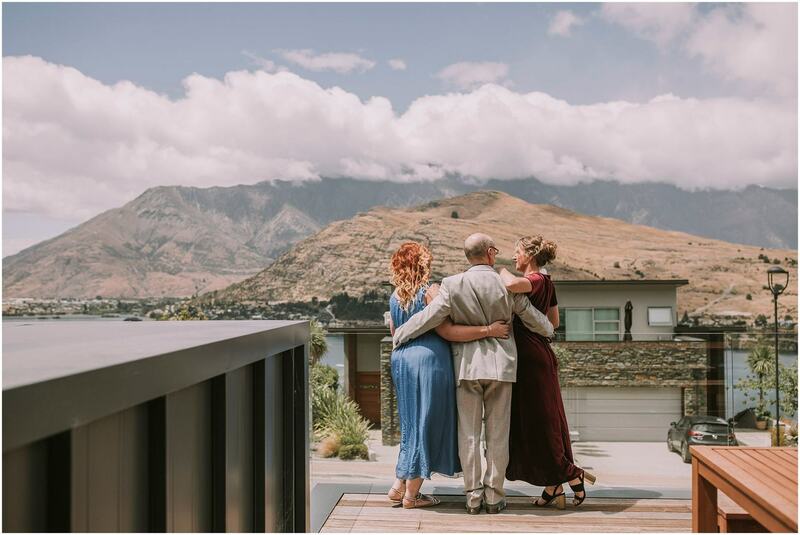 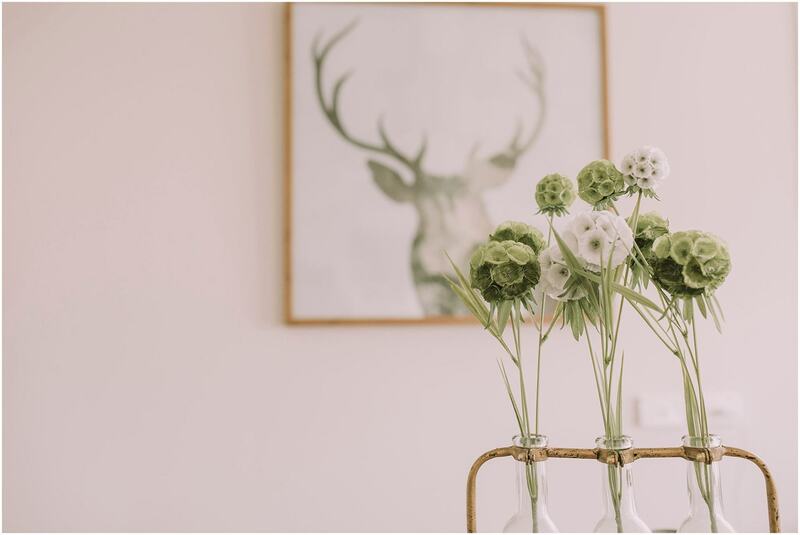 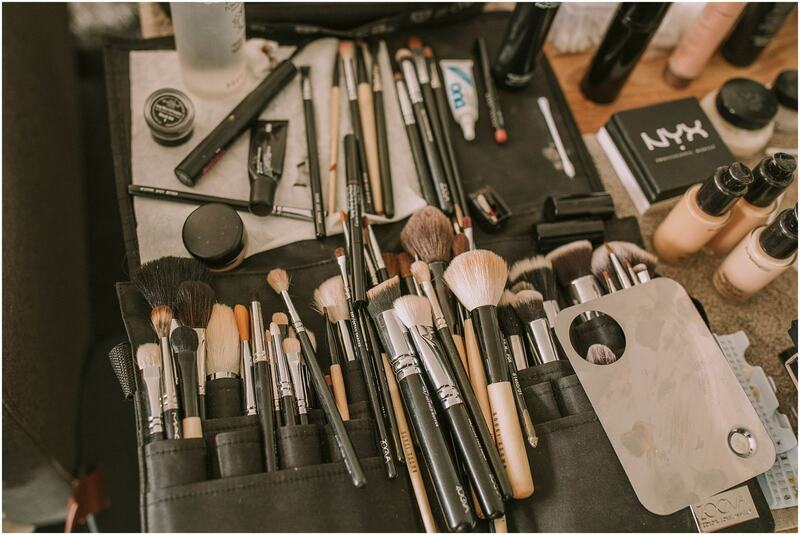 We got ready at a beautiful house in Queenstown with all the girls which was so fun – Tara’s makeup was so beautiful and flowers were amazing! 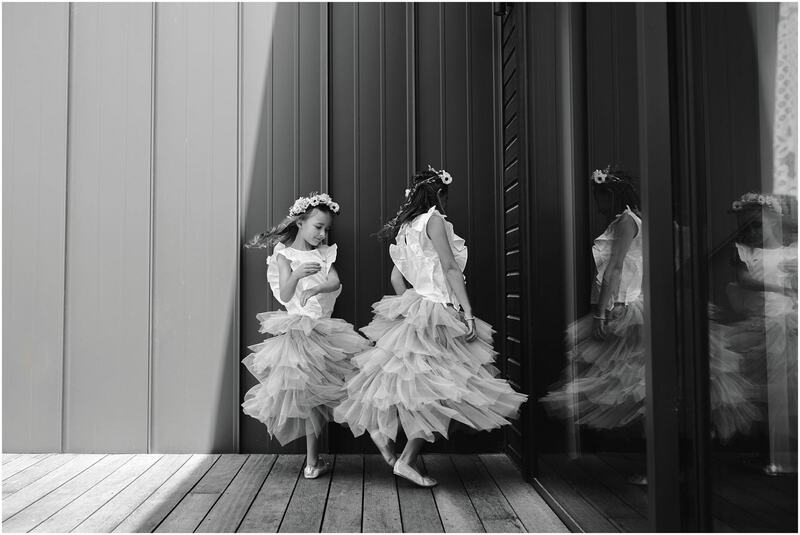 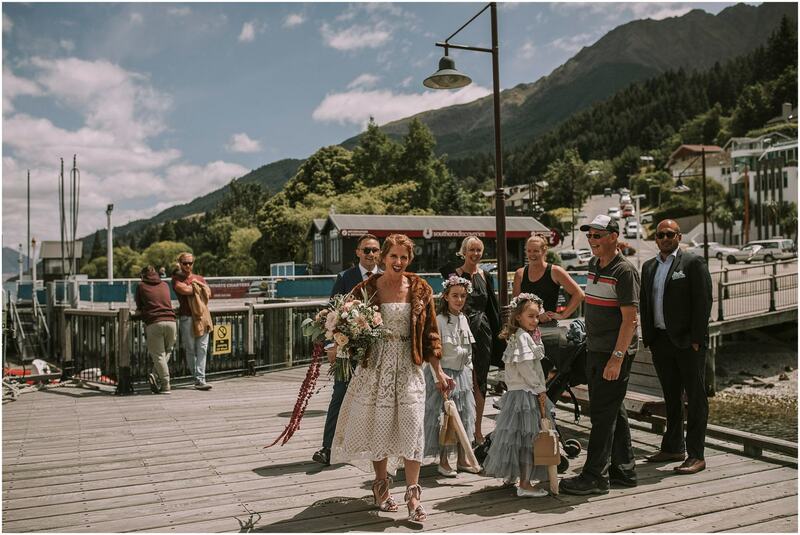 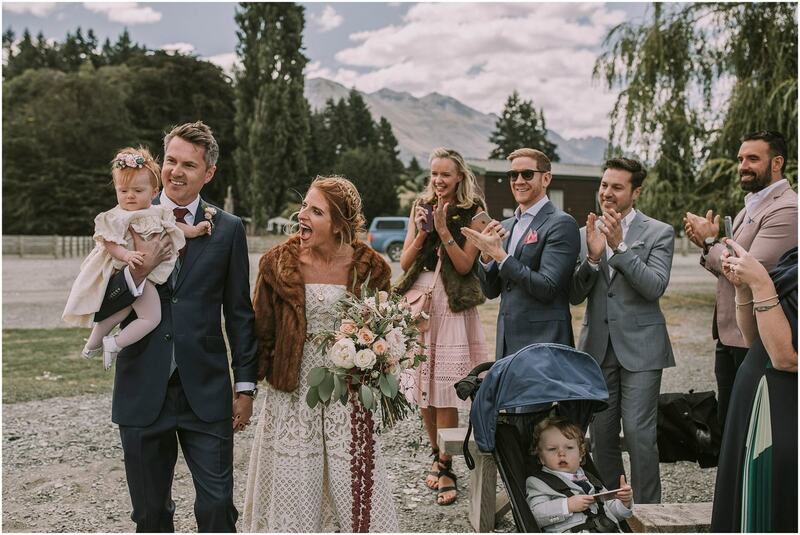 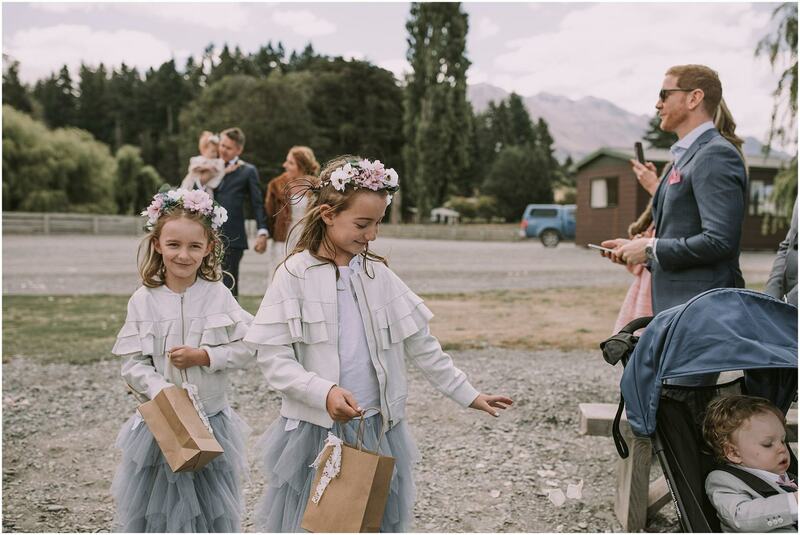 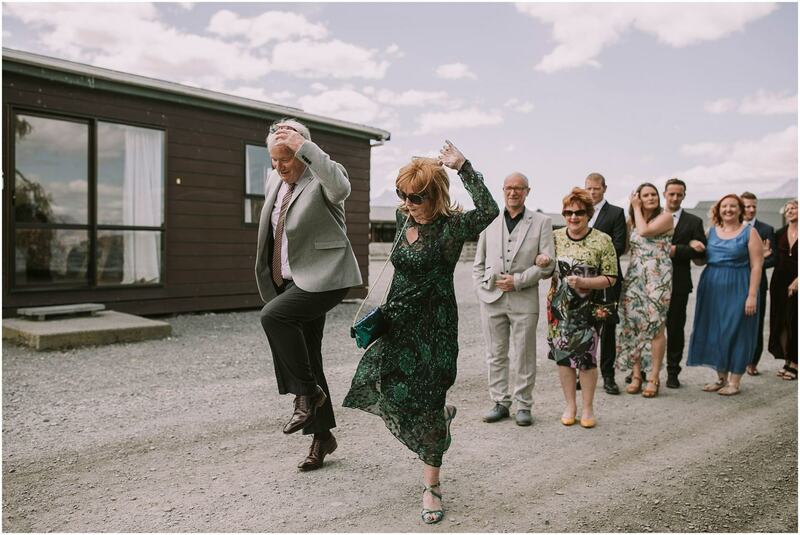 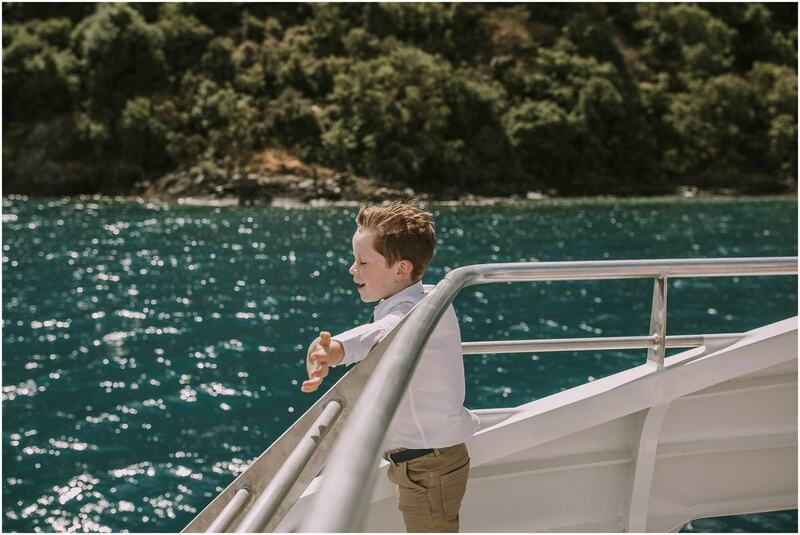 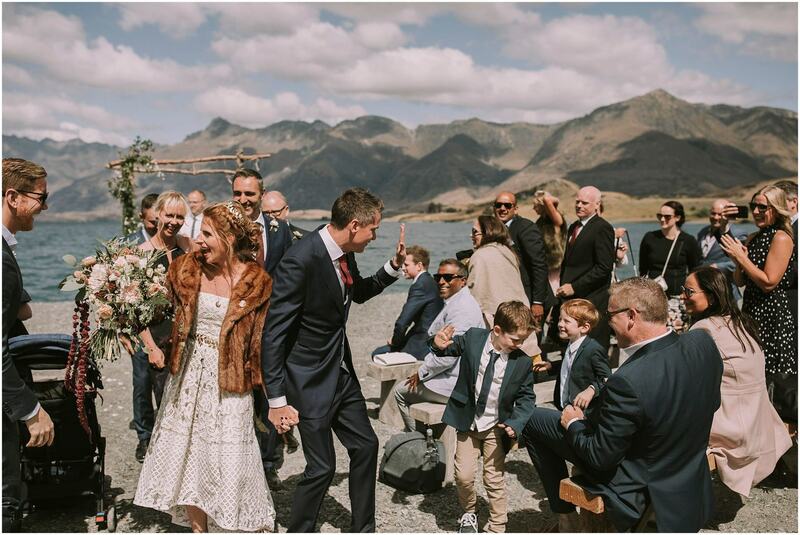 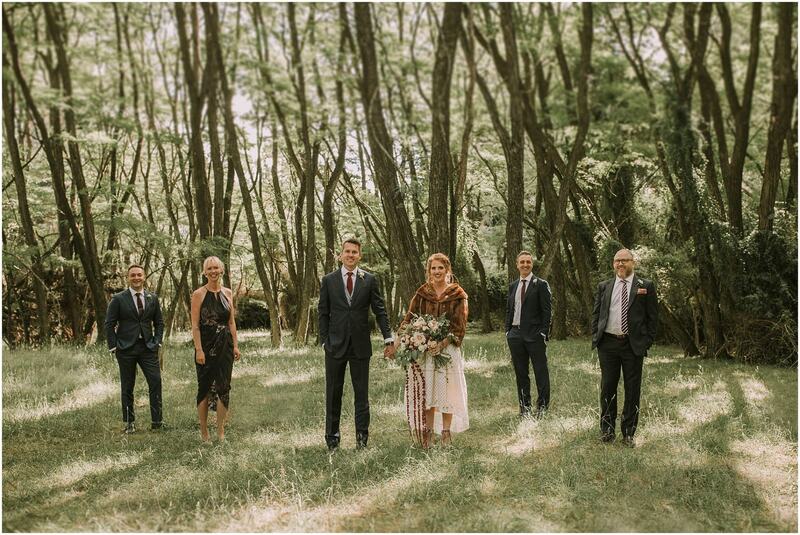 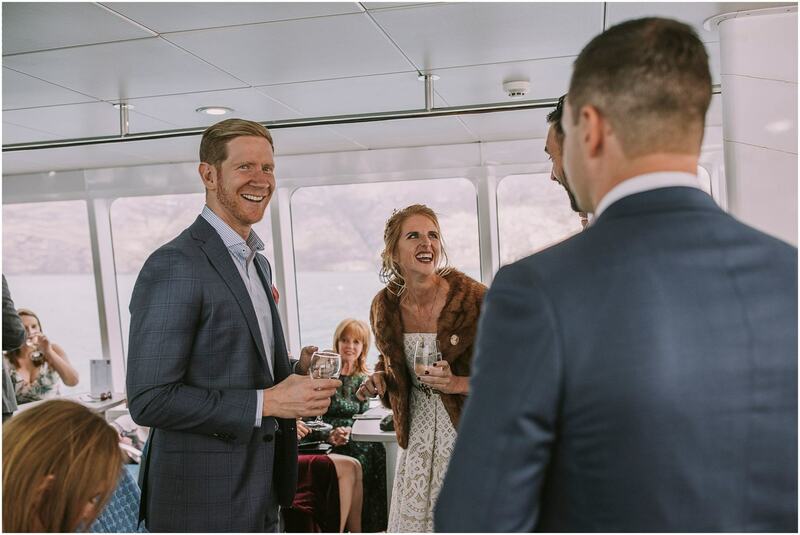 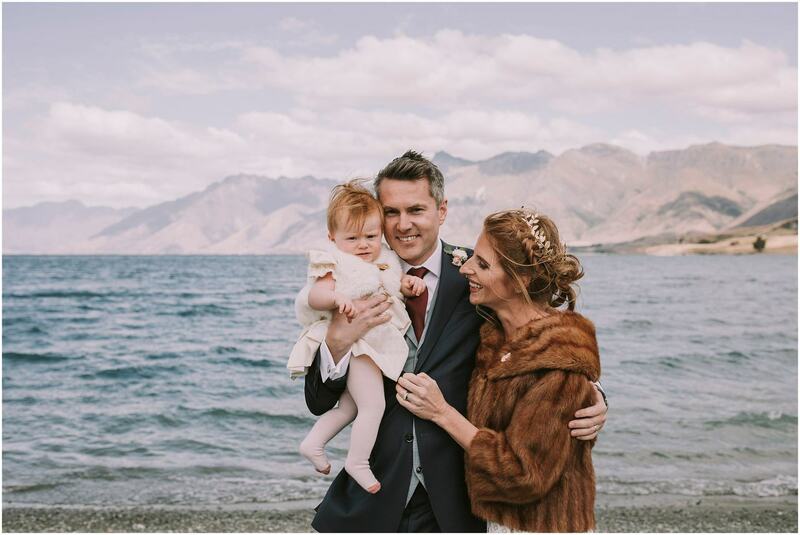 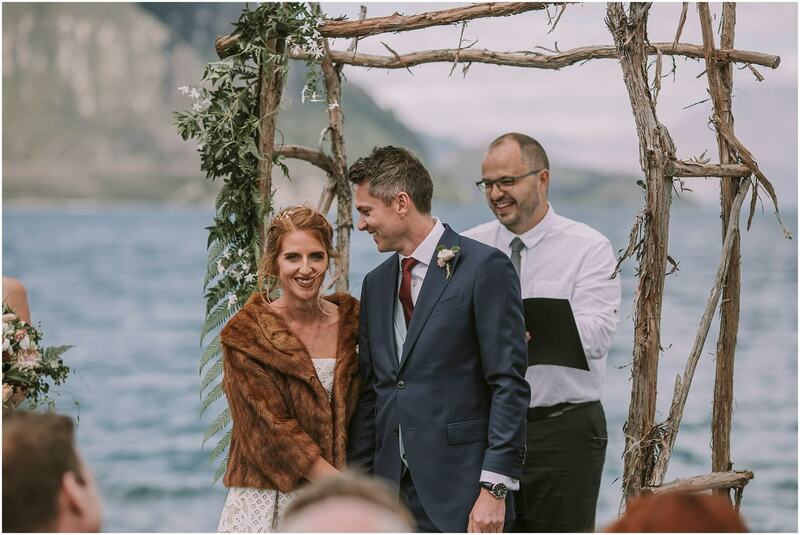 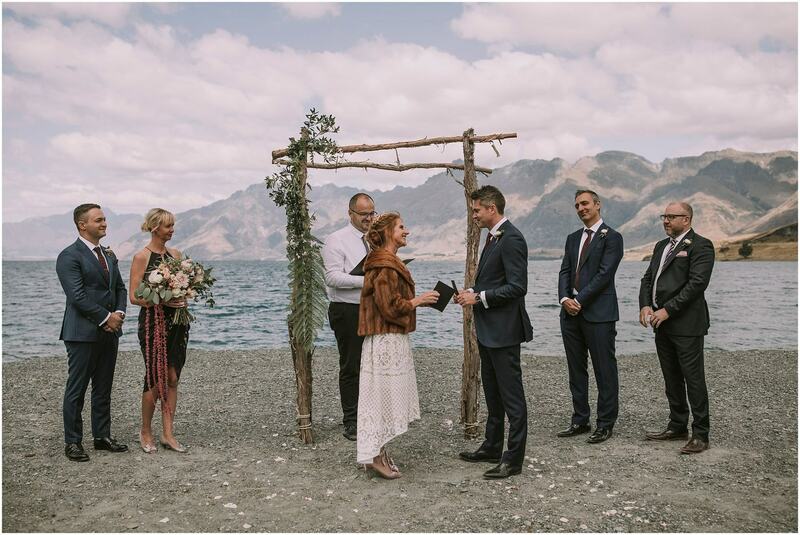 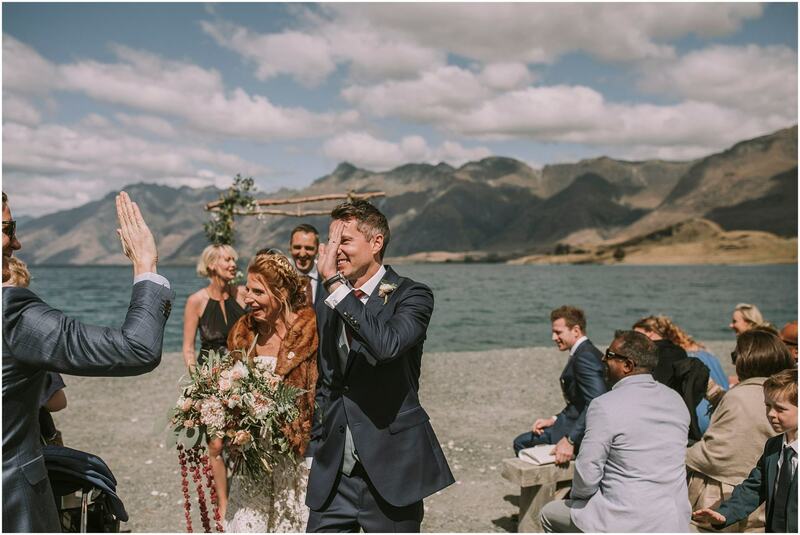 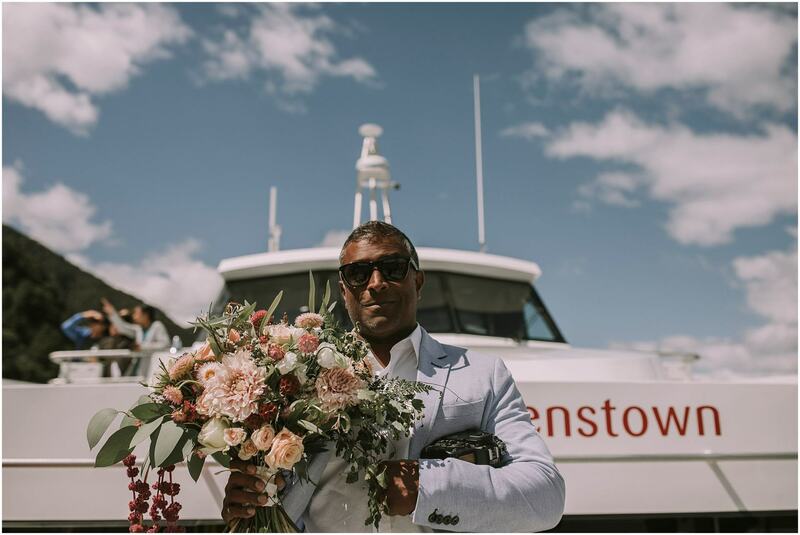 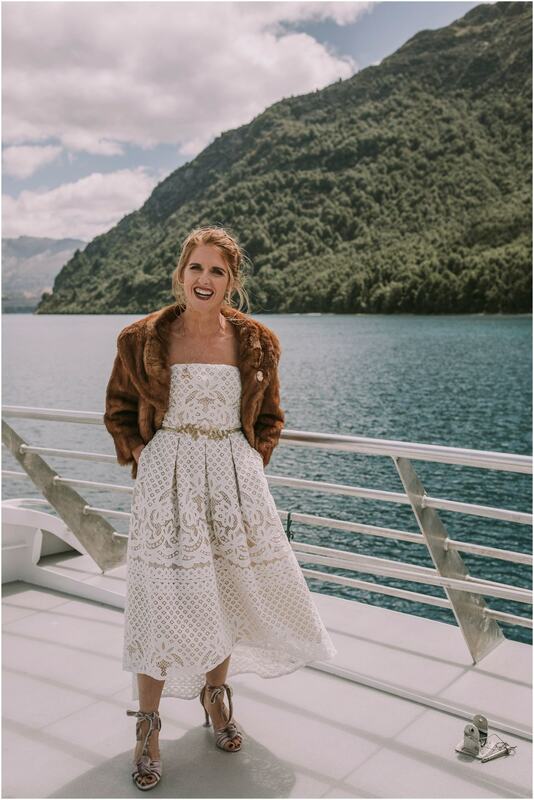 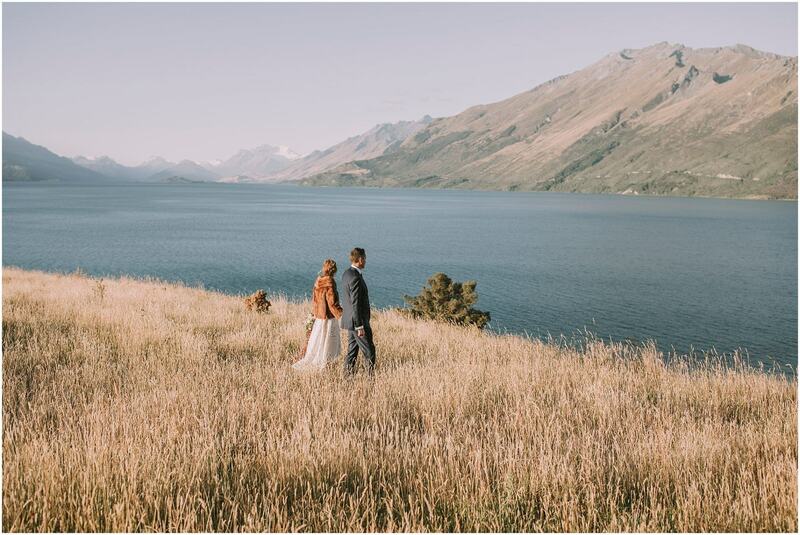 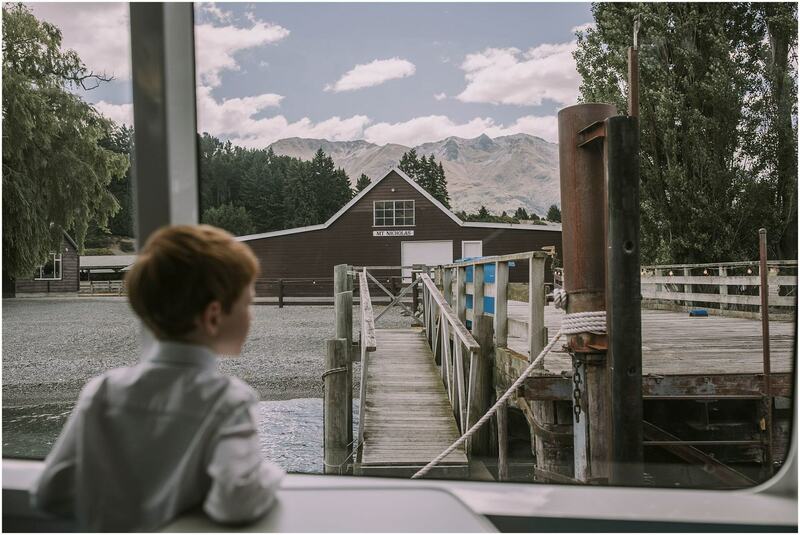 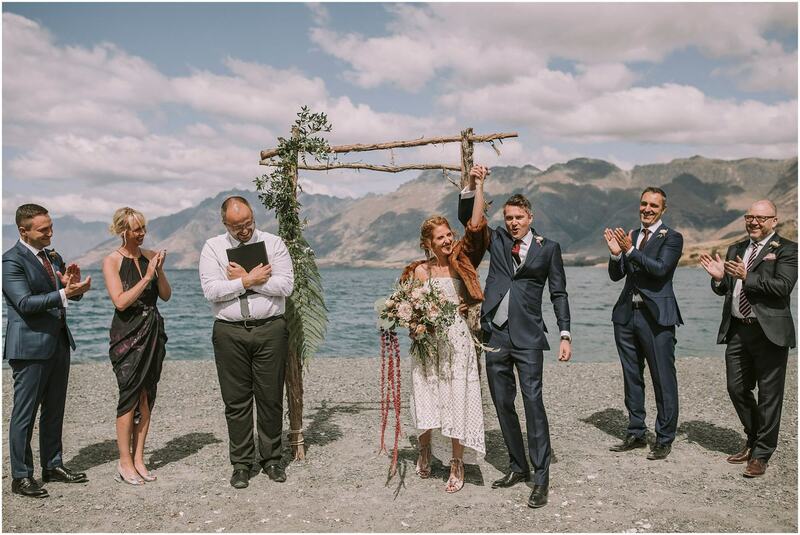 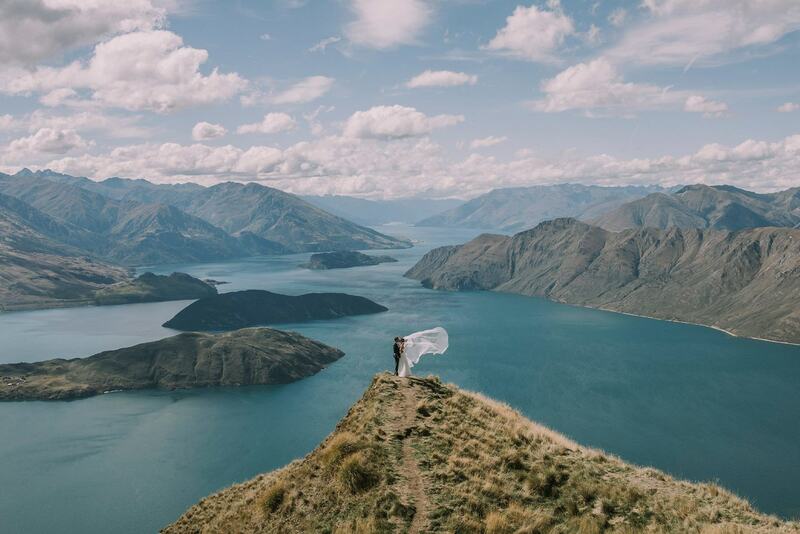 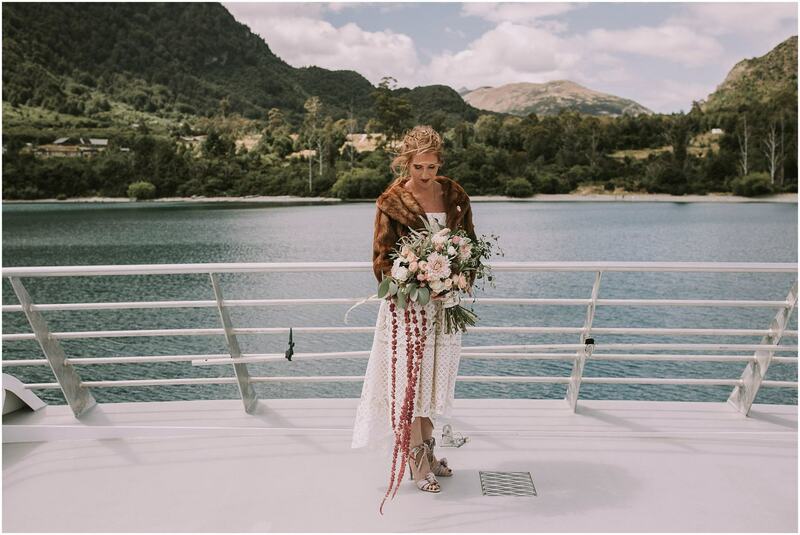 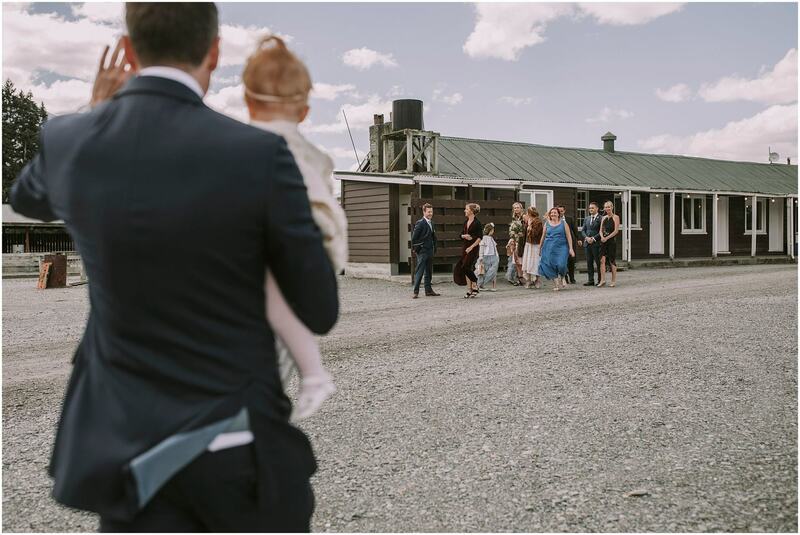 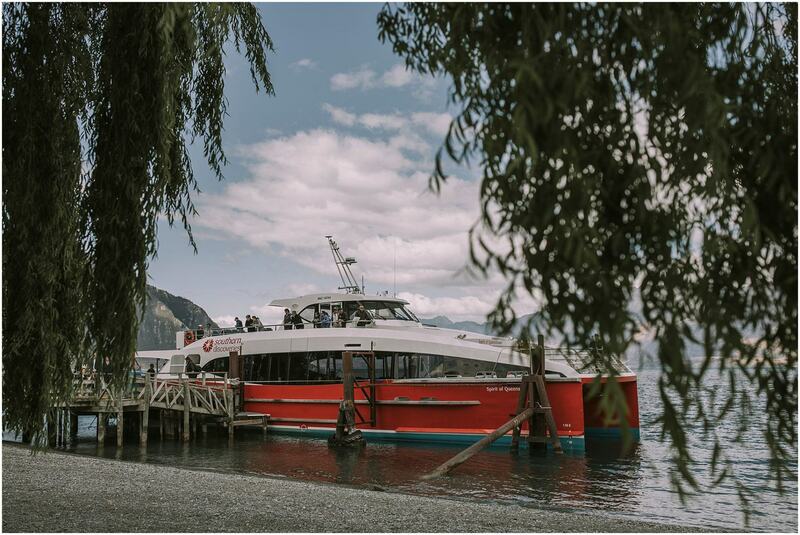 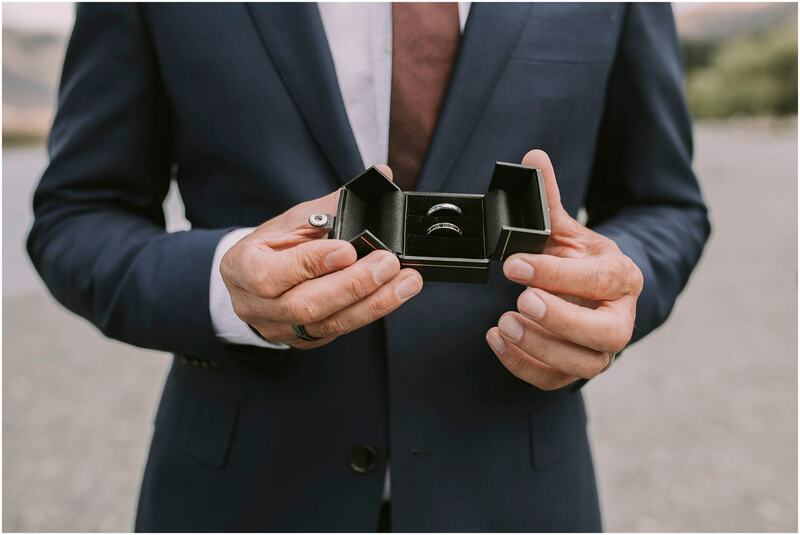 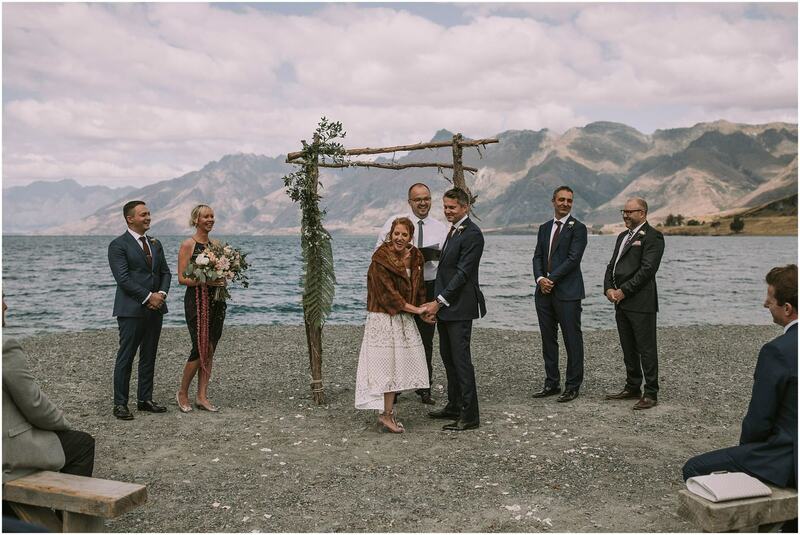 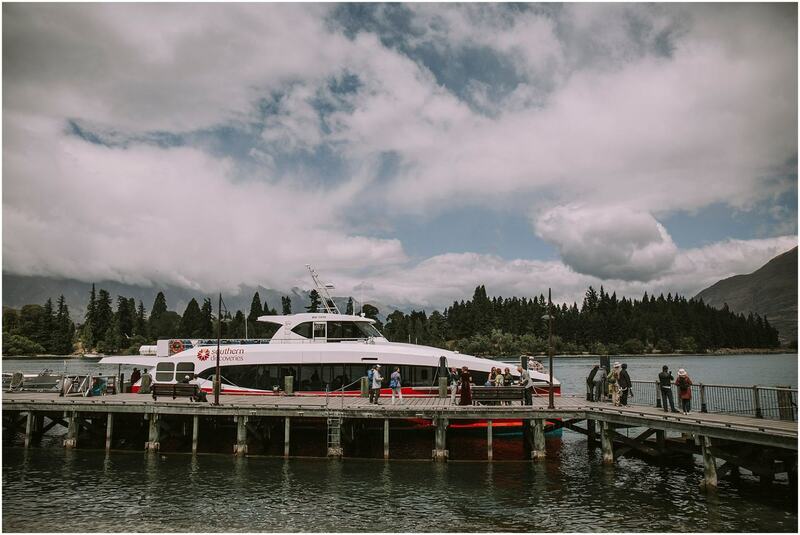 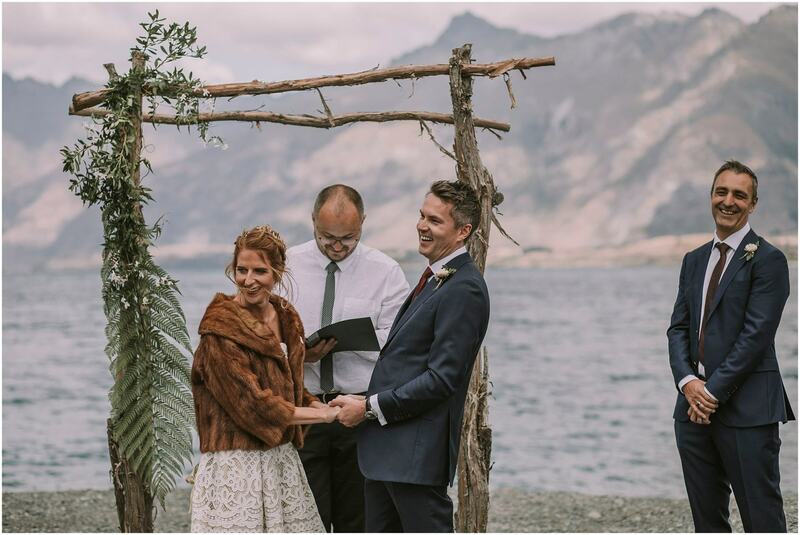 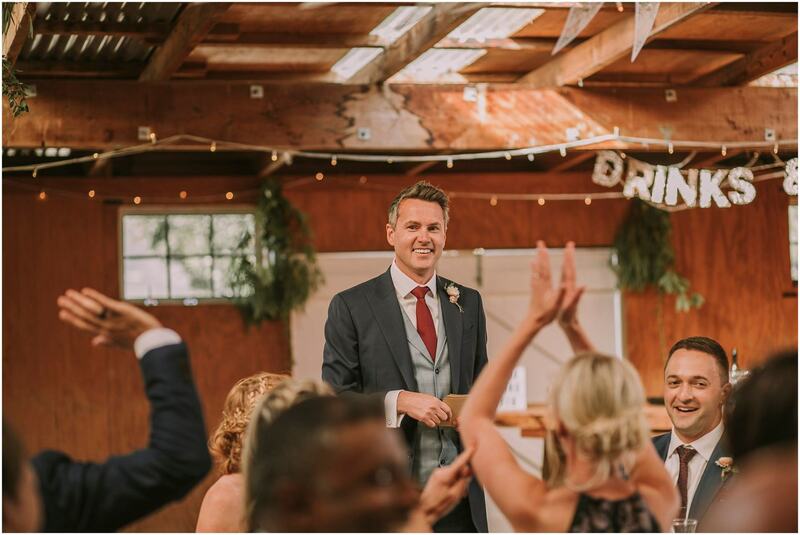 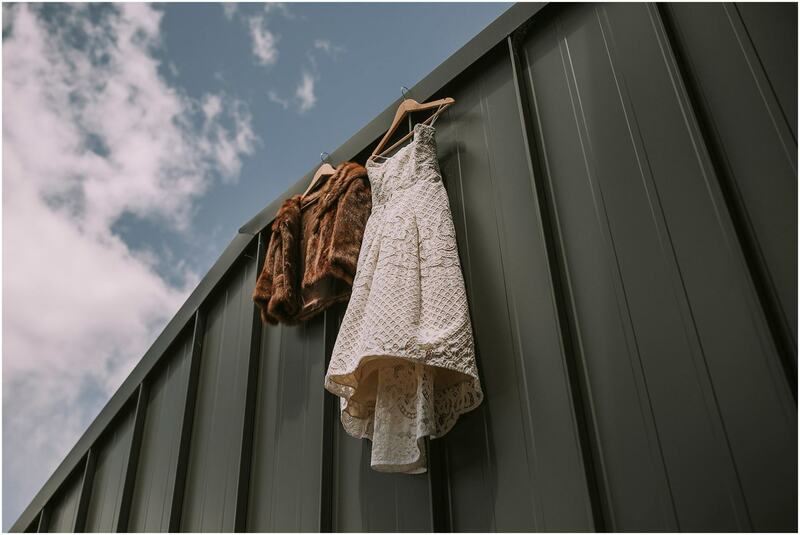 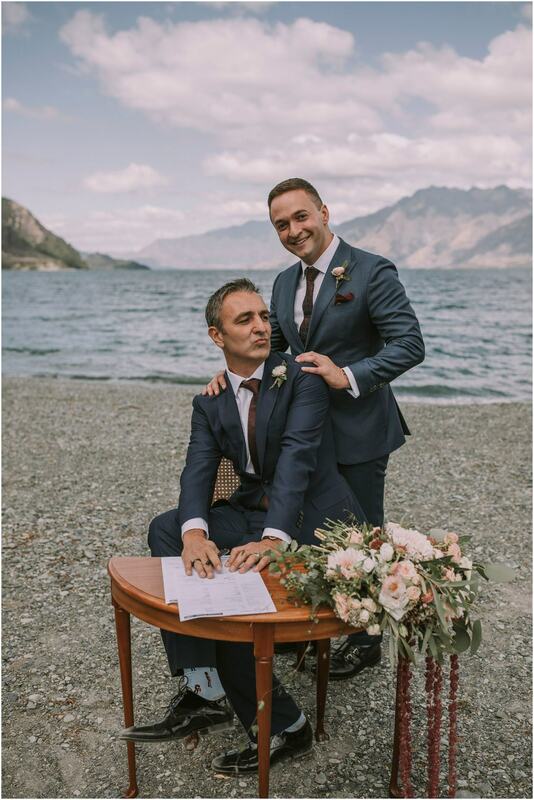 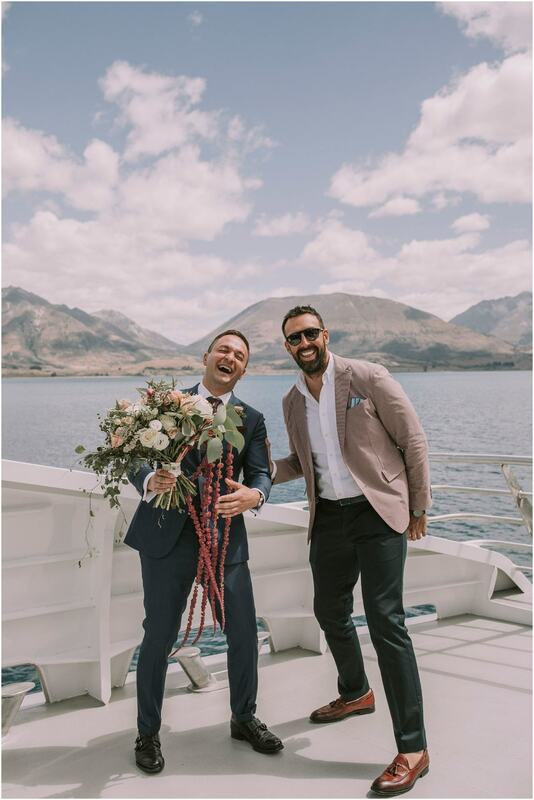 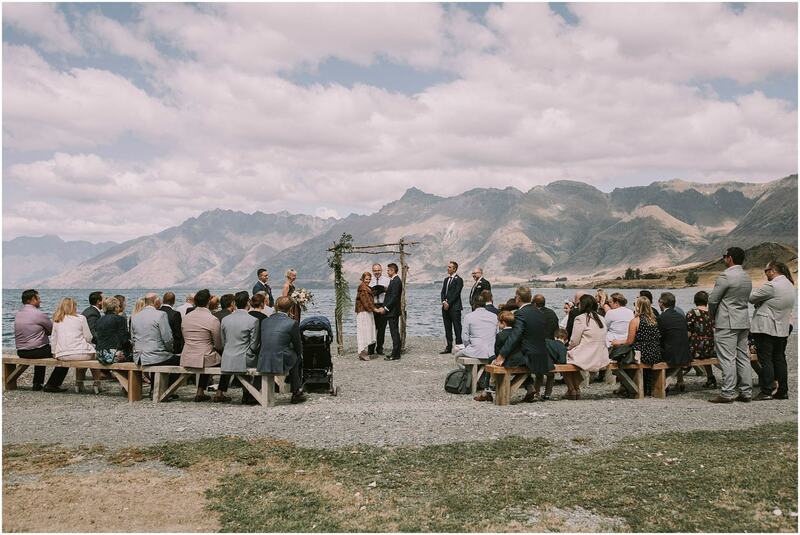 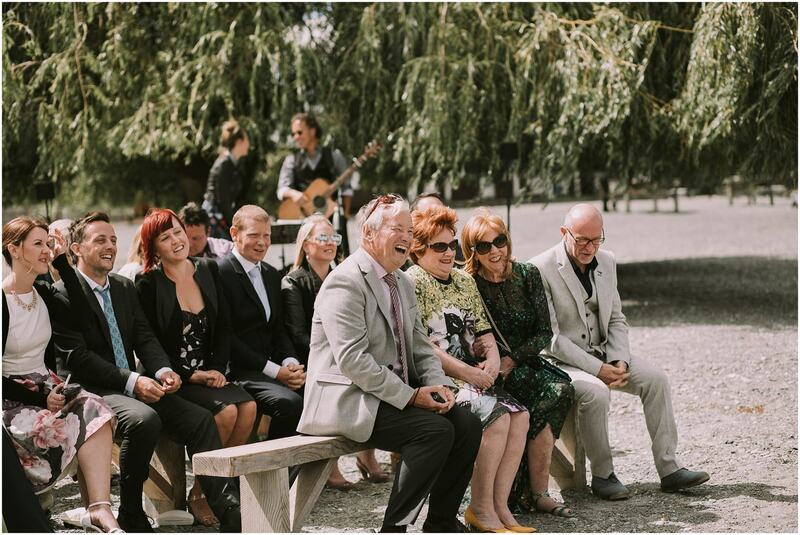 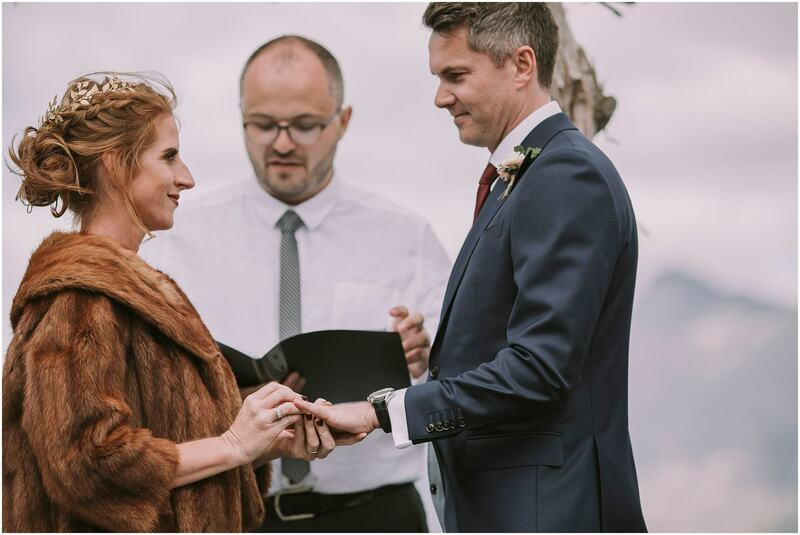 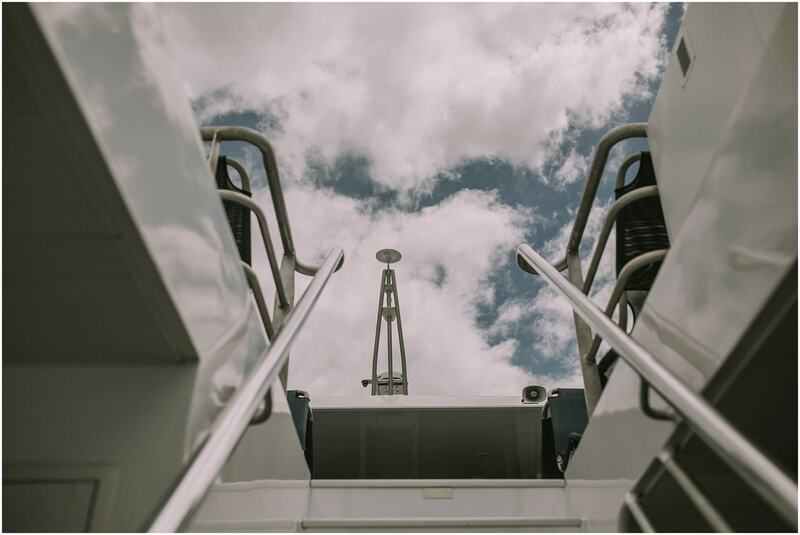 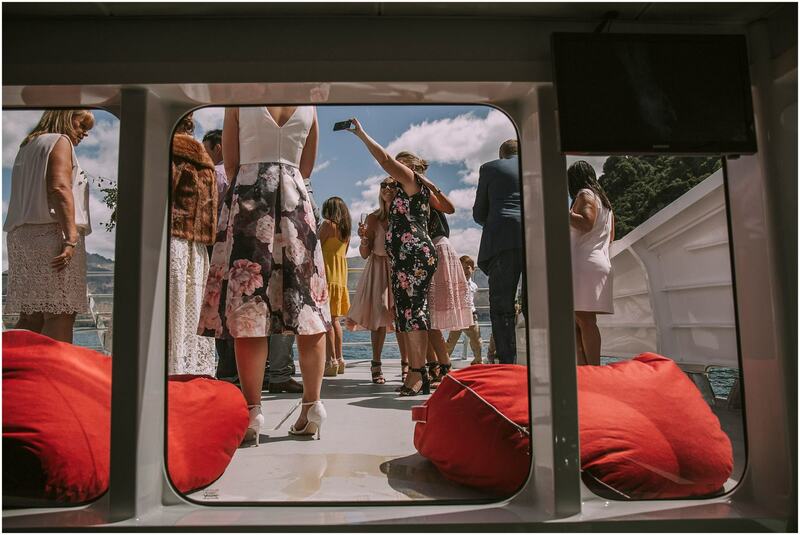 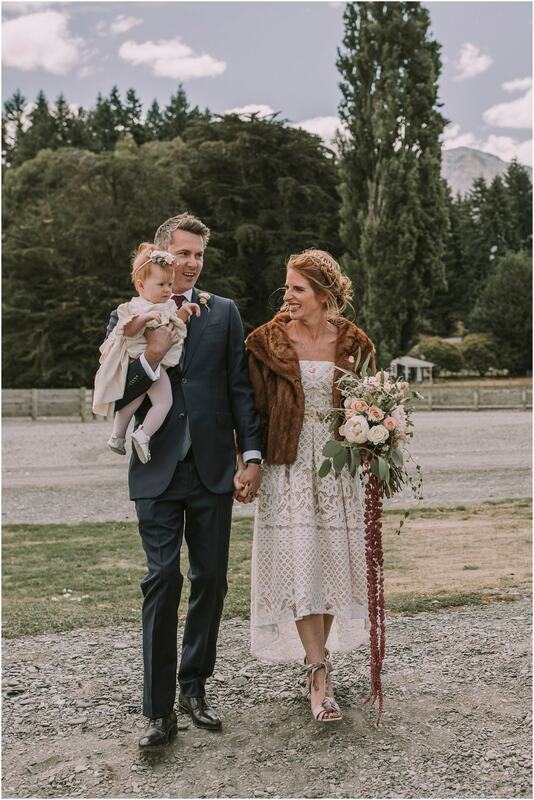 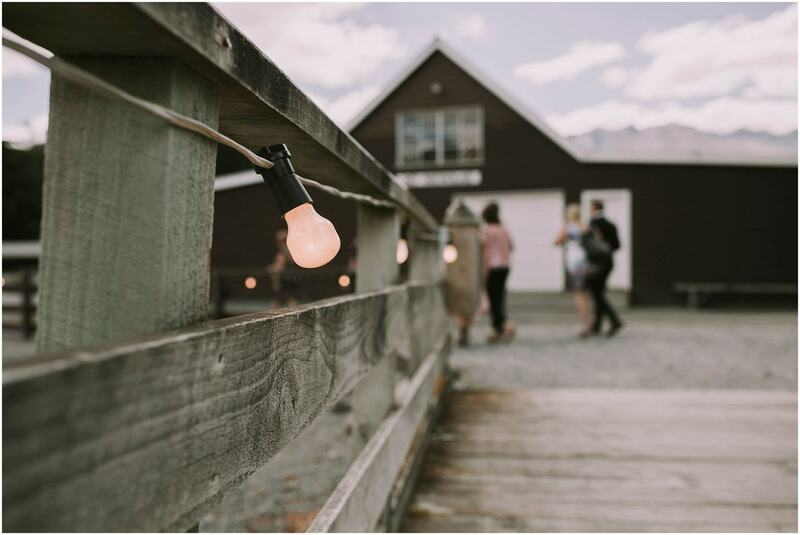 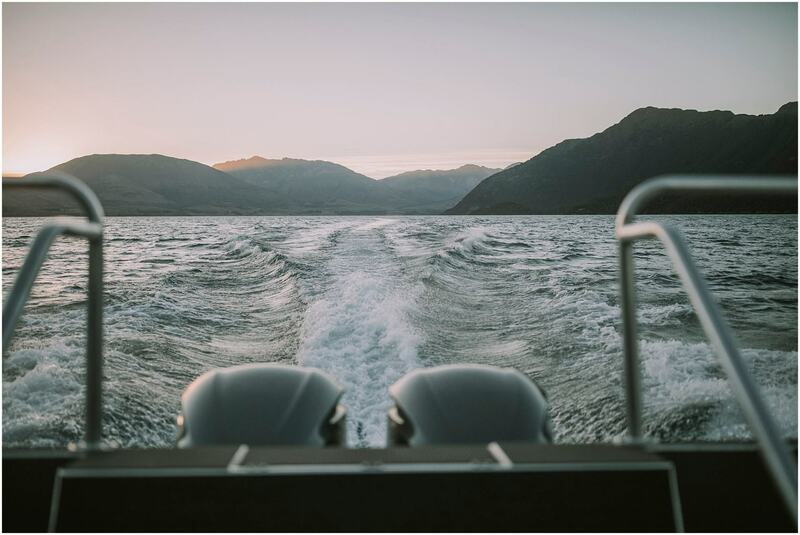 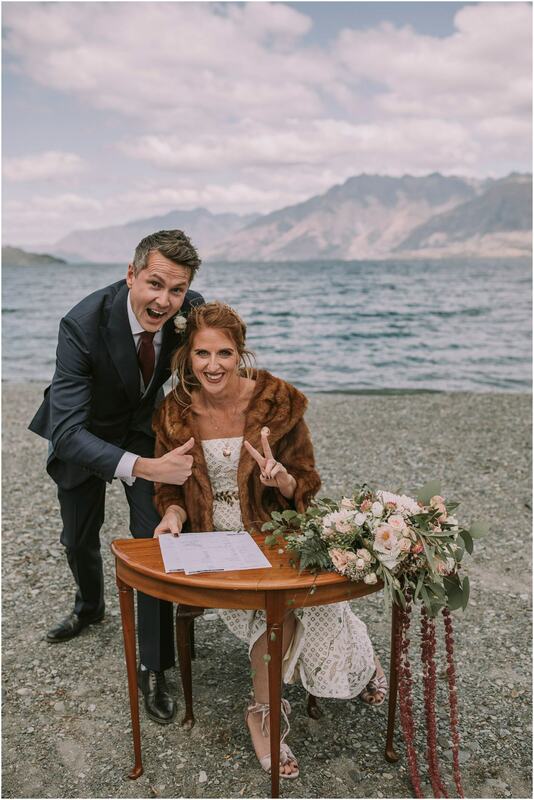 We taxied into Queenstown wharf where a boat was waiting to take the wedding party to Mt Nicholas station where the boys were waiting for Tara to arrive with their daughter Tilly! 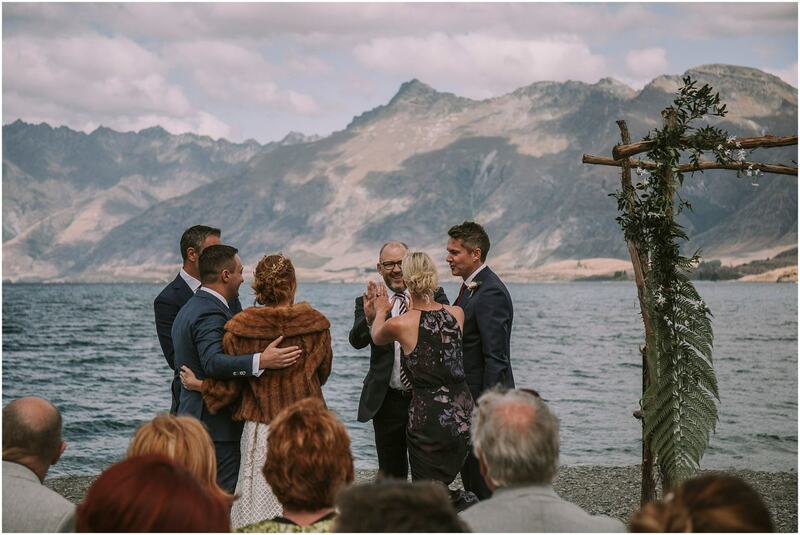 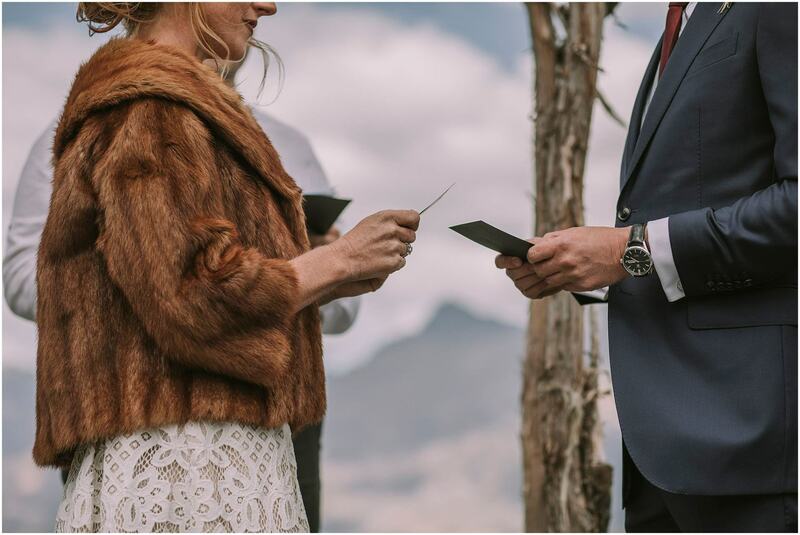 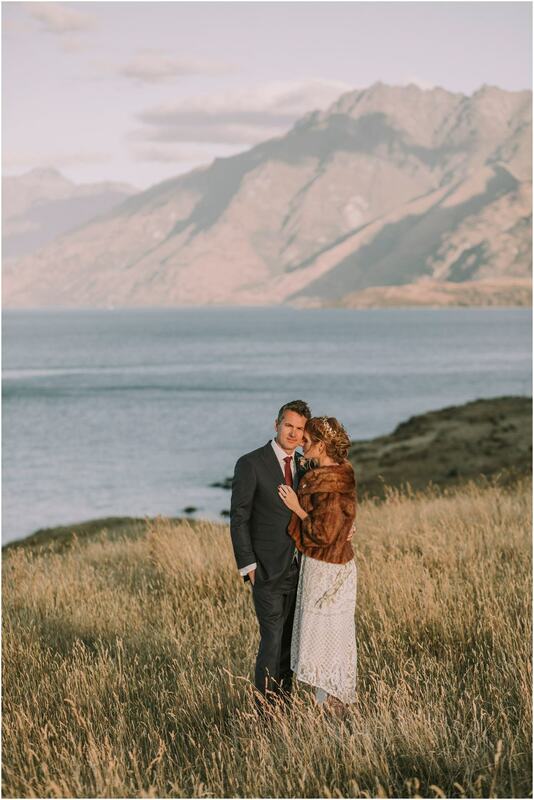 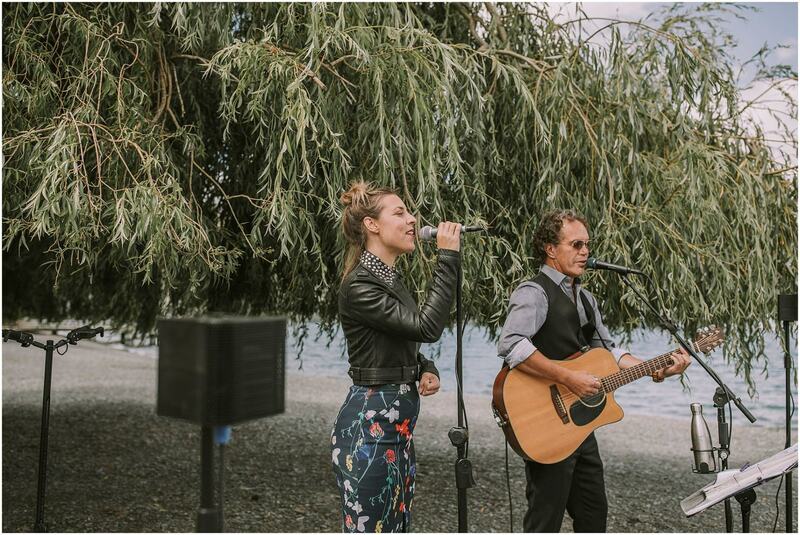 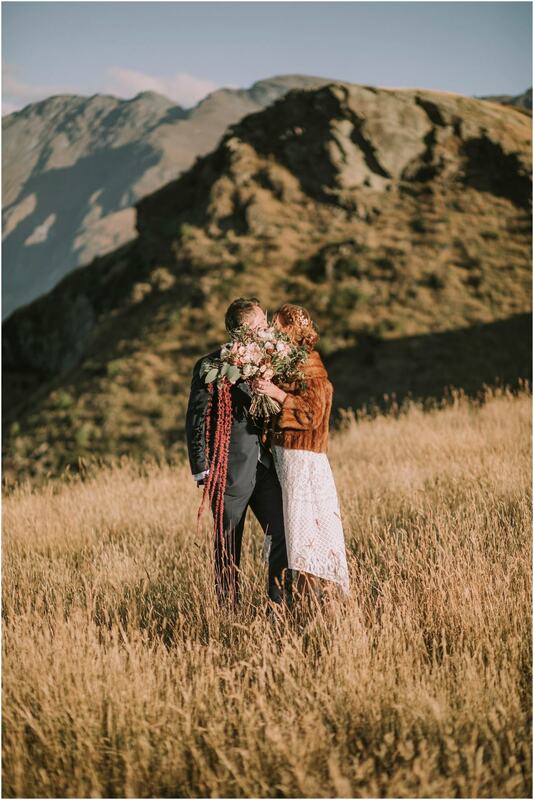 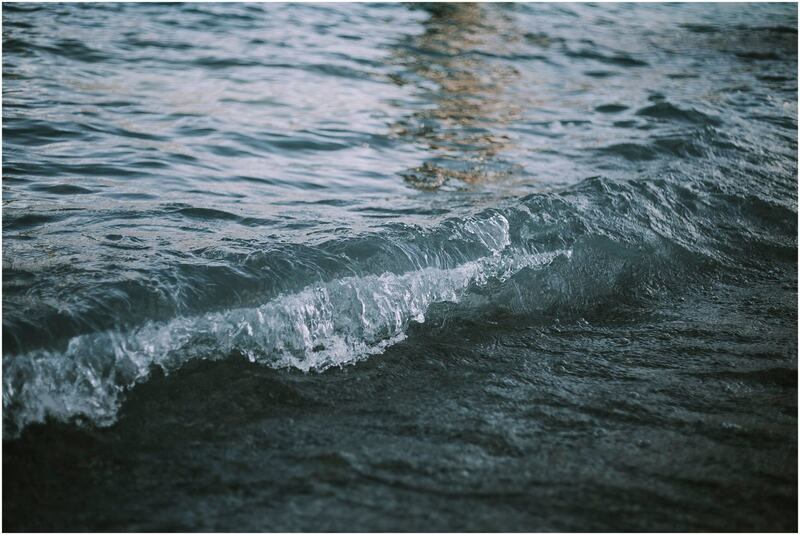 The ceremony was on the shores of the Lake surrounded by beautiful mountains – it was so beautiful! 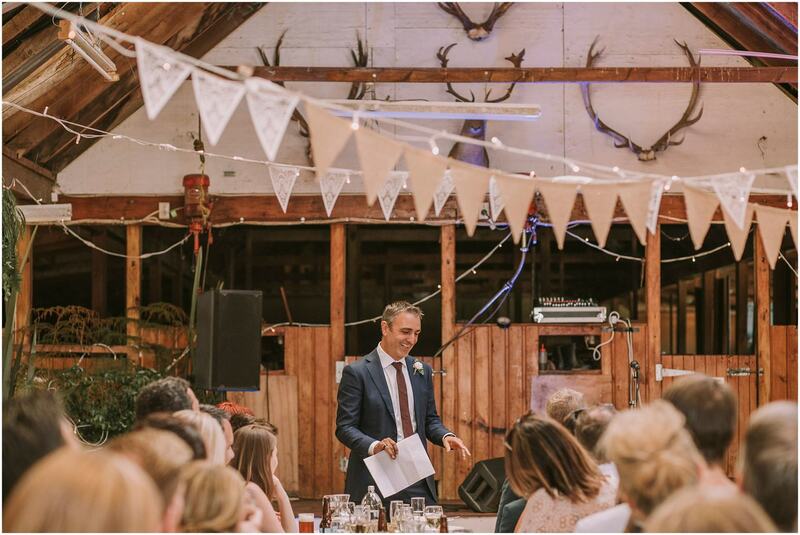 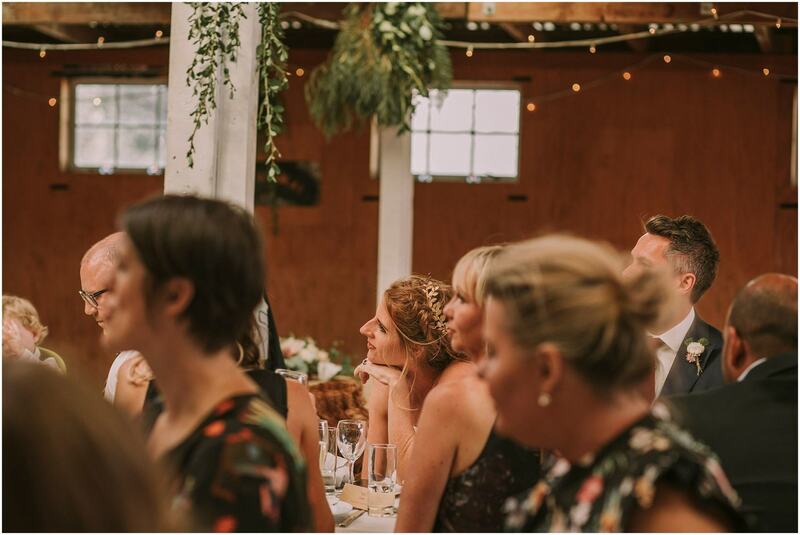 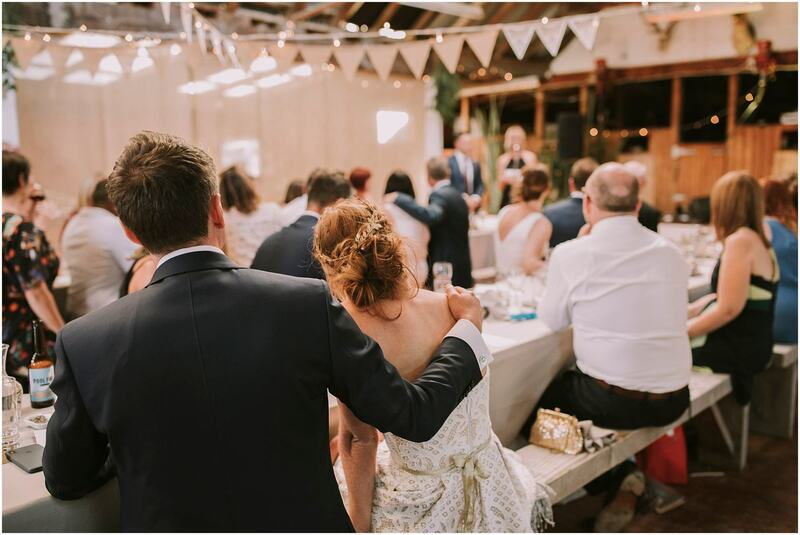 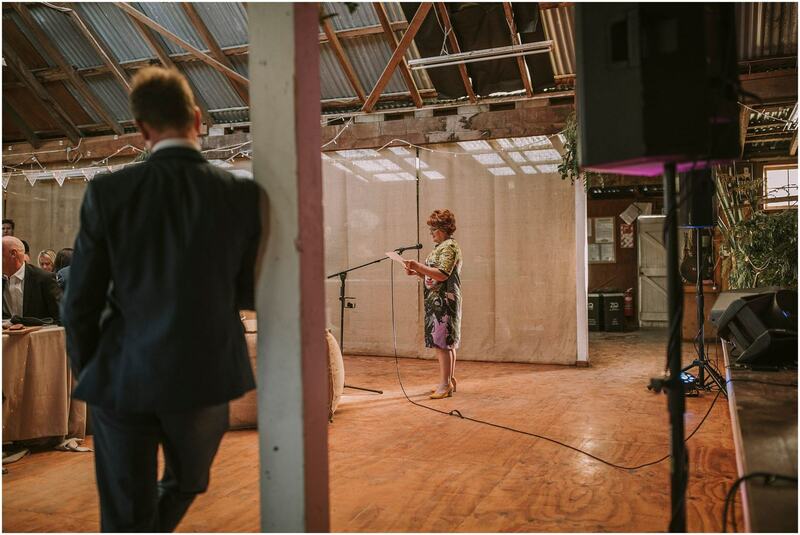 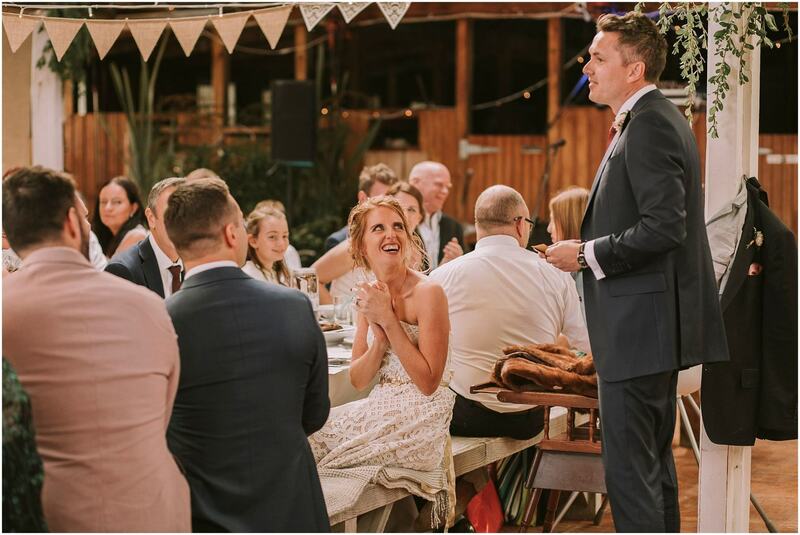 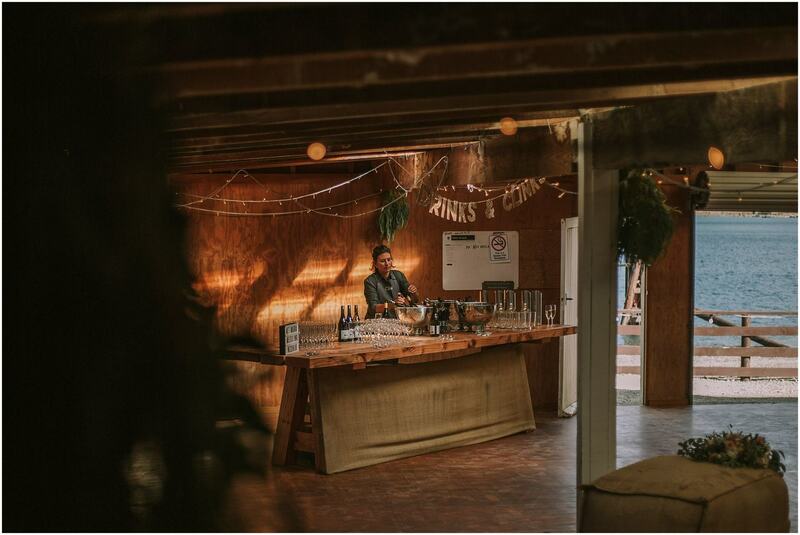 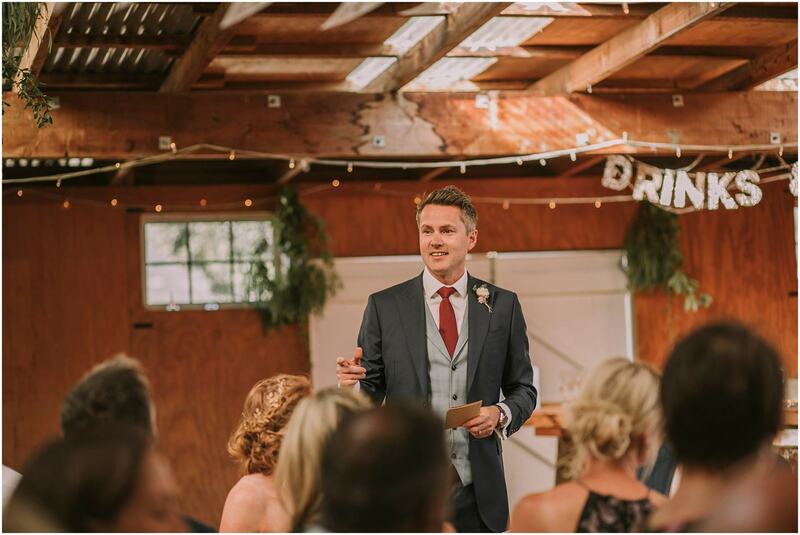 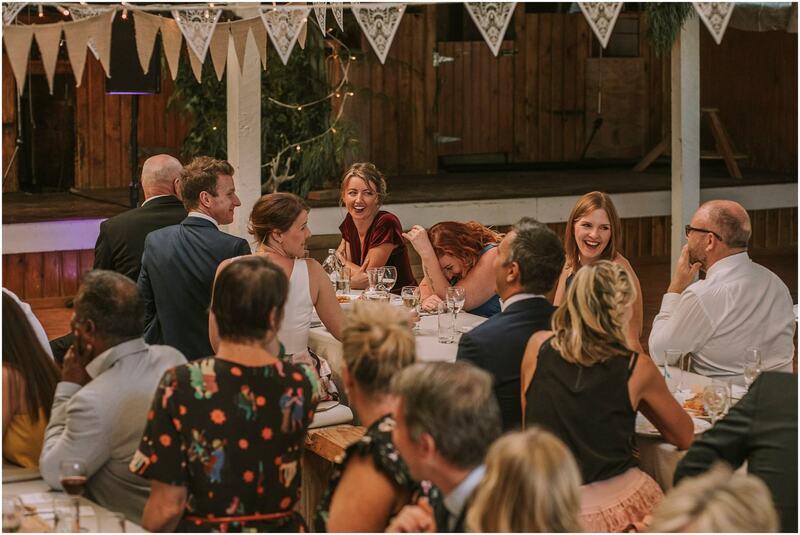 After the amazing ceremony (complete with epic first kiss) cheese platters and drinks were served on the lake front, followed by a beautiful dinner in the Mt Nic woolshed. 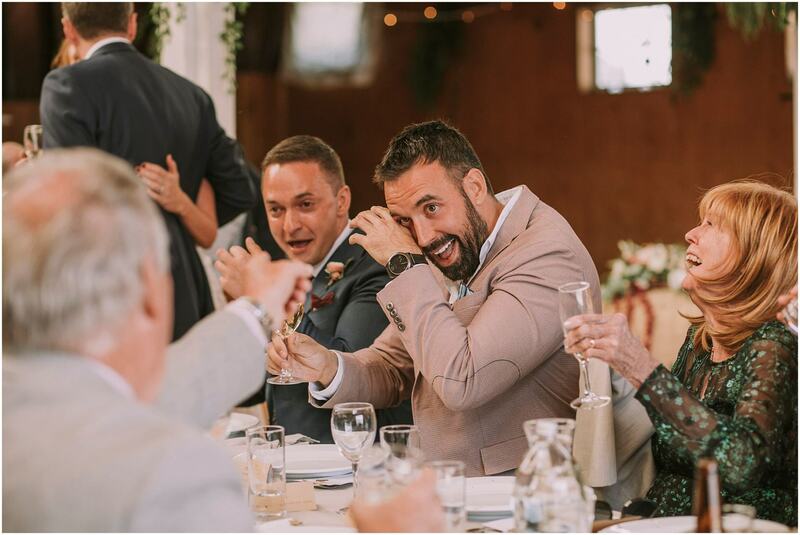 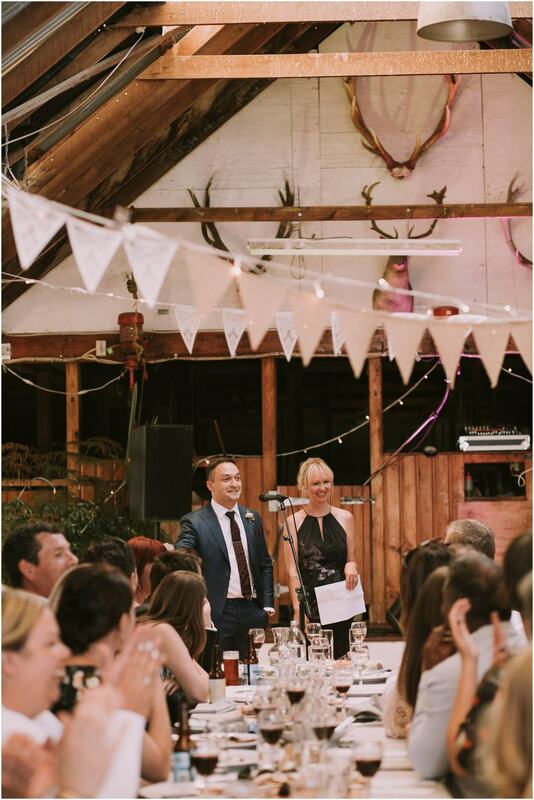 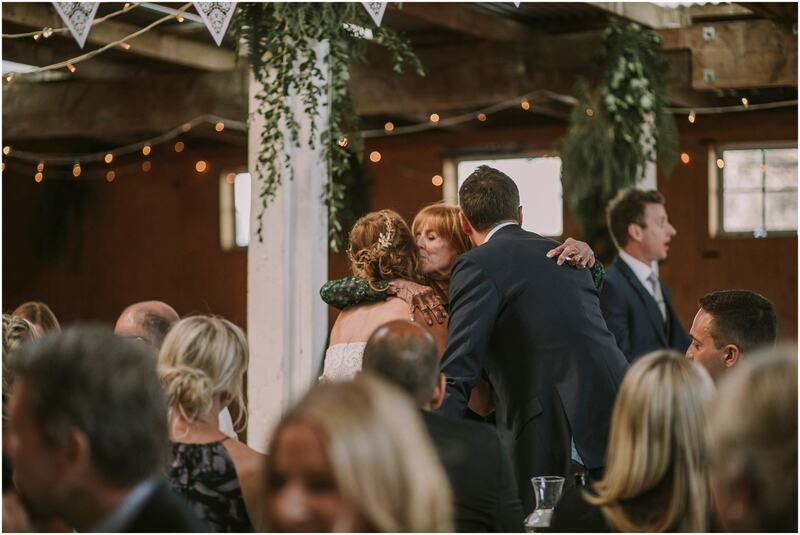 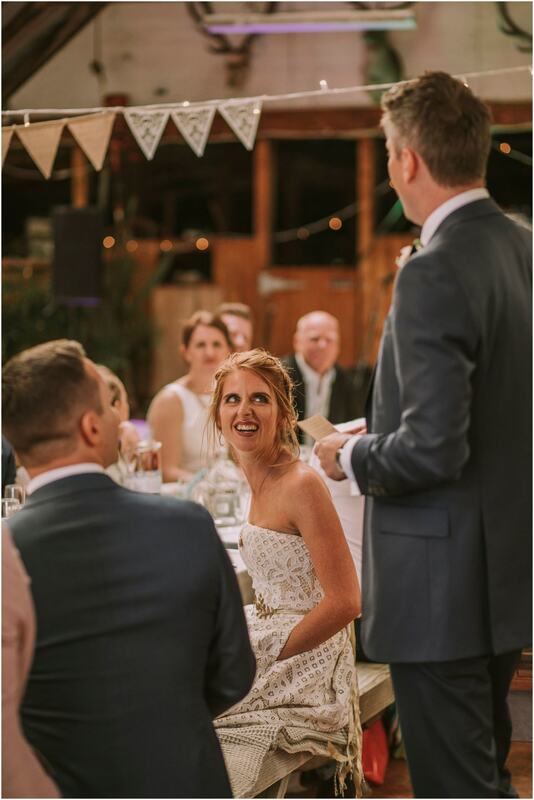 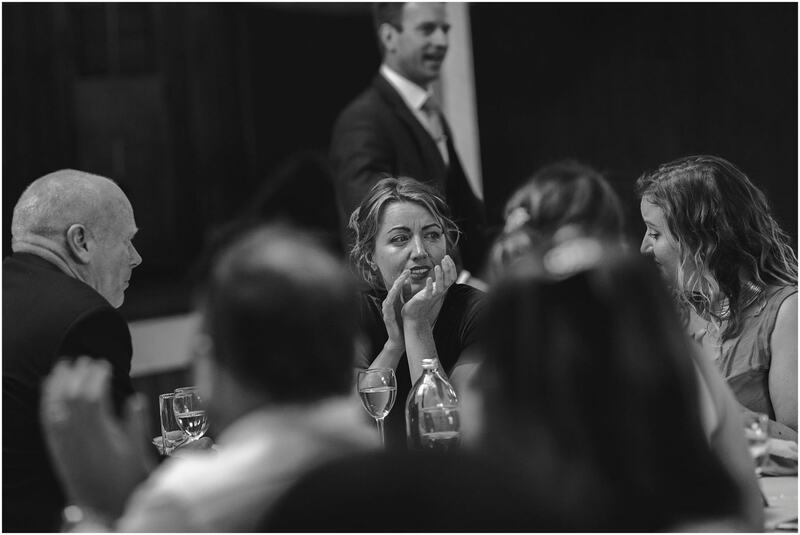 The speeches were hilarious, mums got teary – so did we! 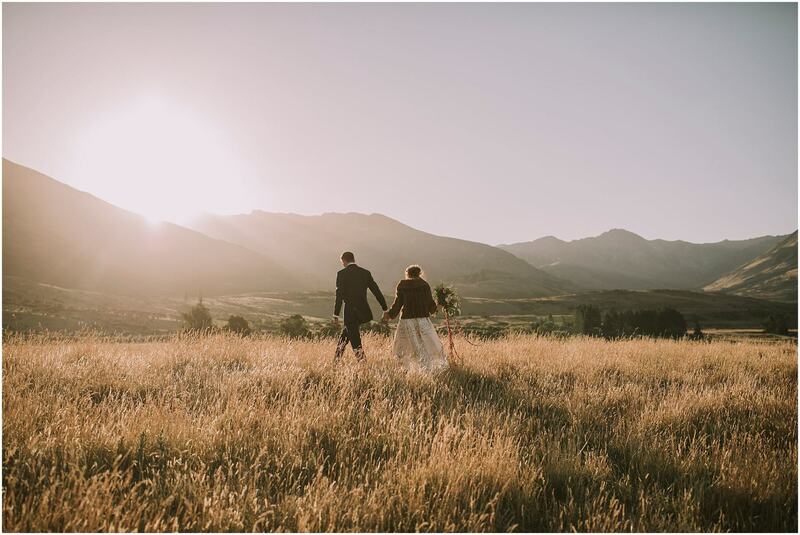 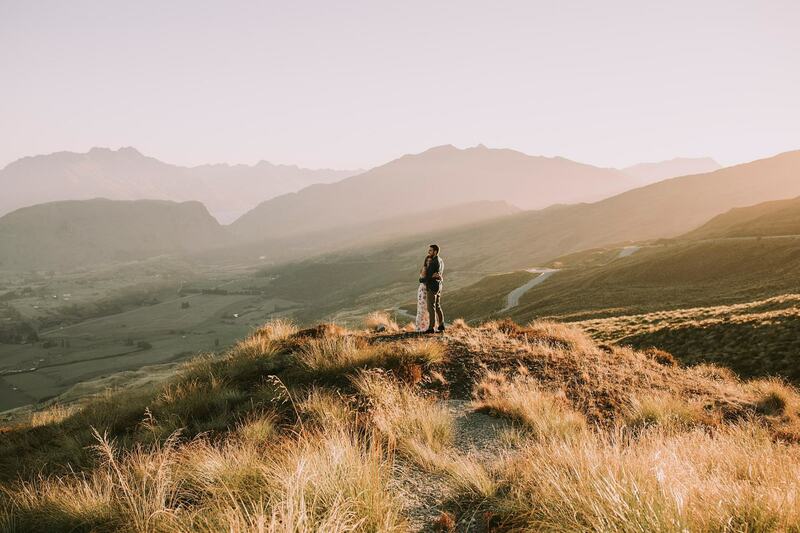 At golden hour we snuck off to get some epic fields (there was even a giant bull there) 😛 What a day!! 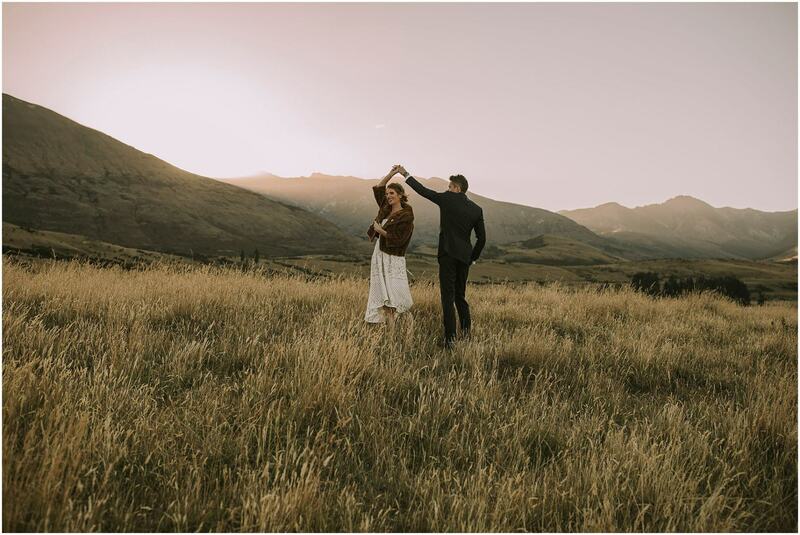 As the sunset we left the wedding party dancing into the night with Mojo while we water taxi back to Queenstown as the sunset over the hills. 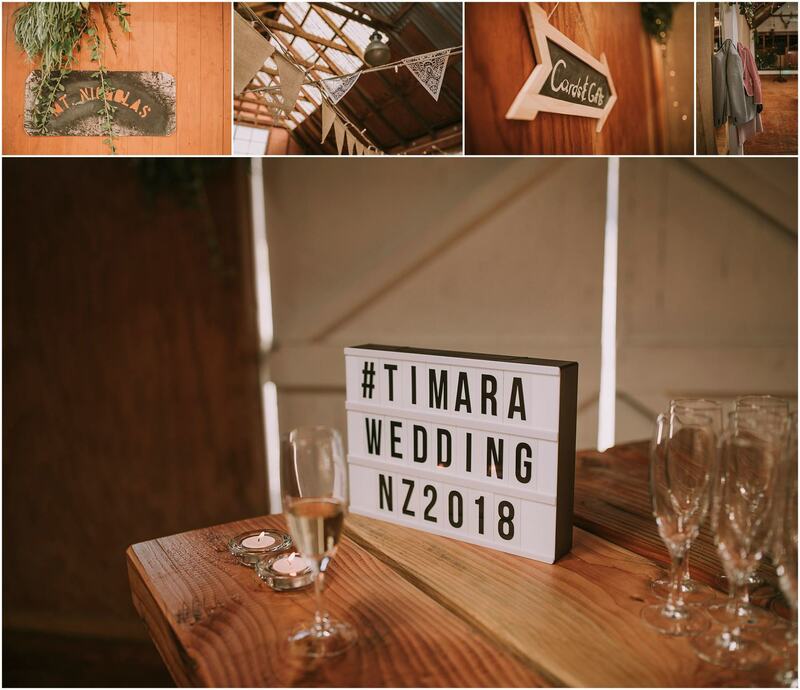 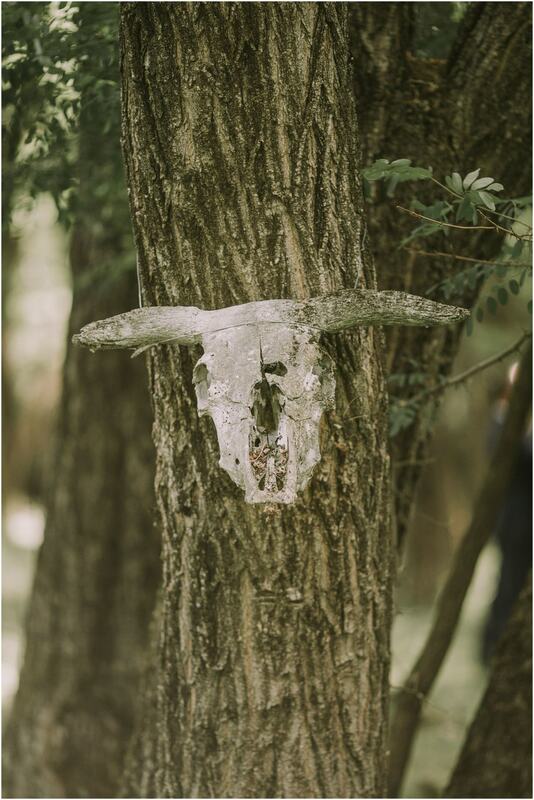 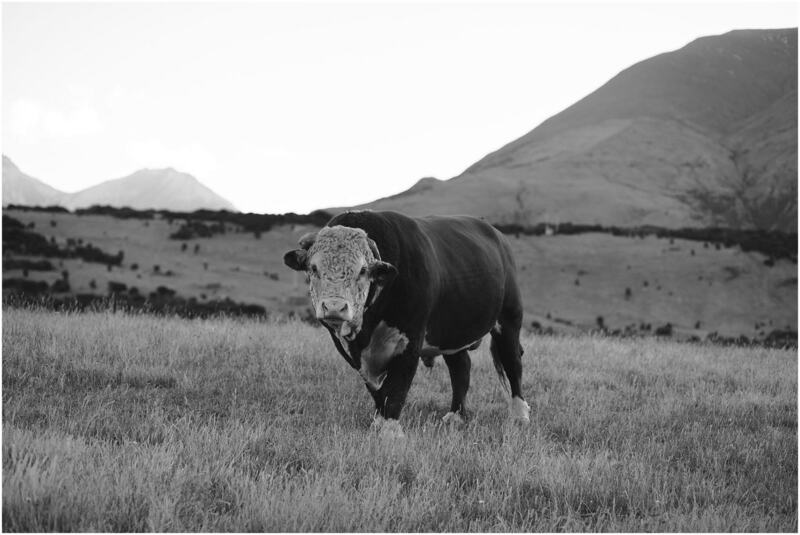 All the best with married life Tara & Tim – what a EPIC wedding! 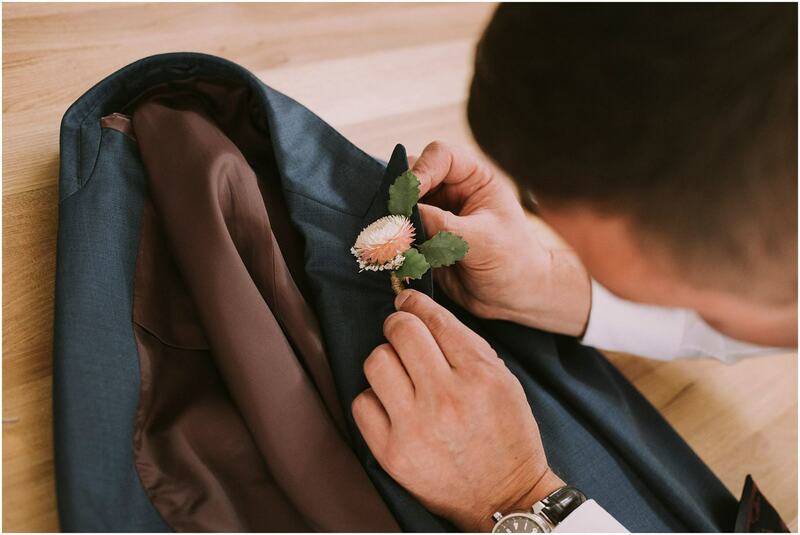 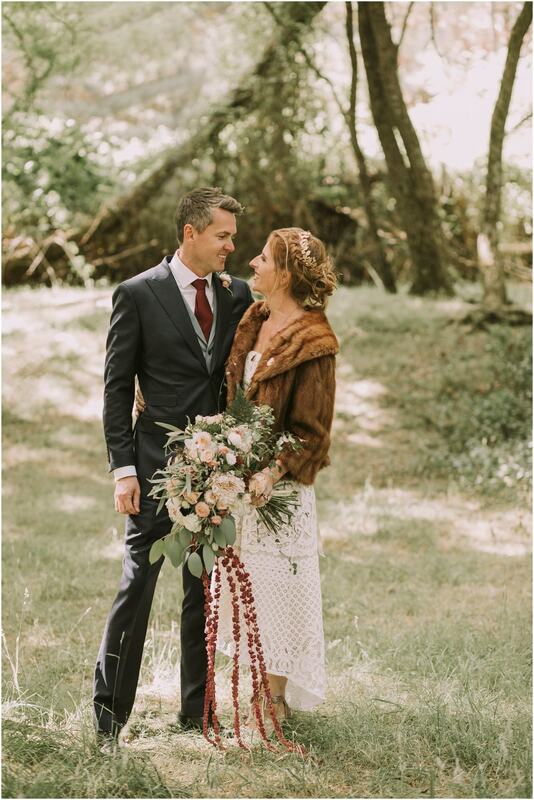 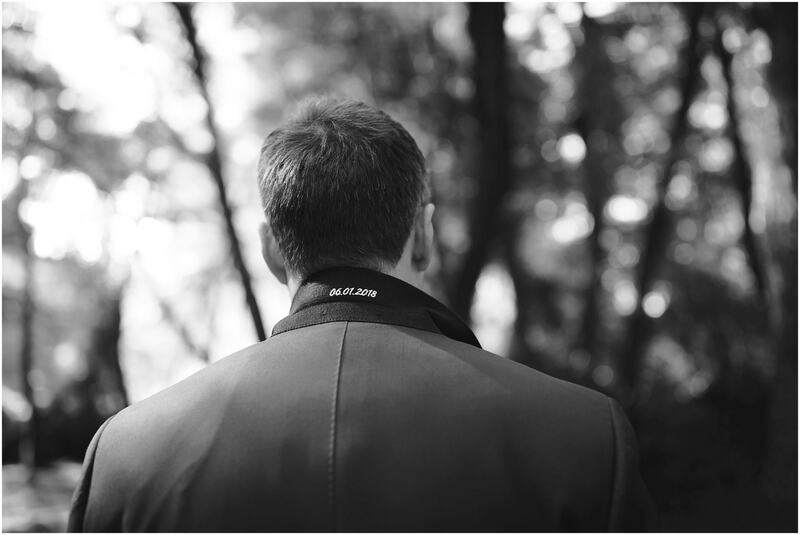 “Where to begin in thanking you for being there to capture our wedding day as words don’t really feel enough. 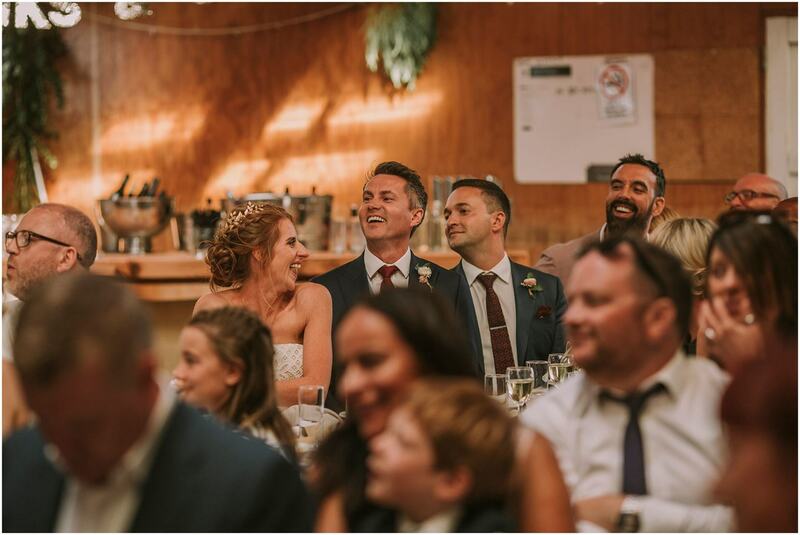 Before even seeing your pictures, I wanted to thank you for the time you spent with us beforehand, the things you made us think about in planning our day, doing a rekkie out to Mt Nick and then working within what I know was a tight timeframe. 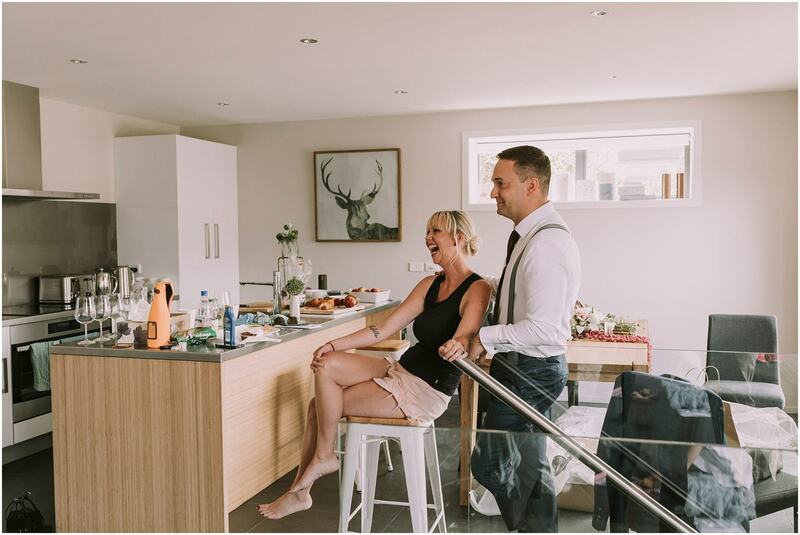 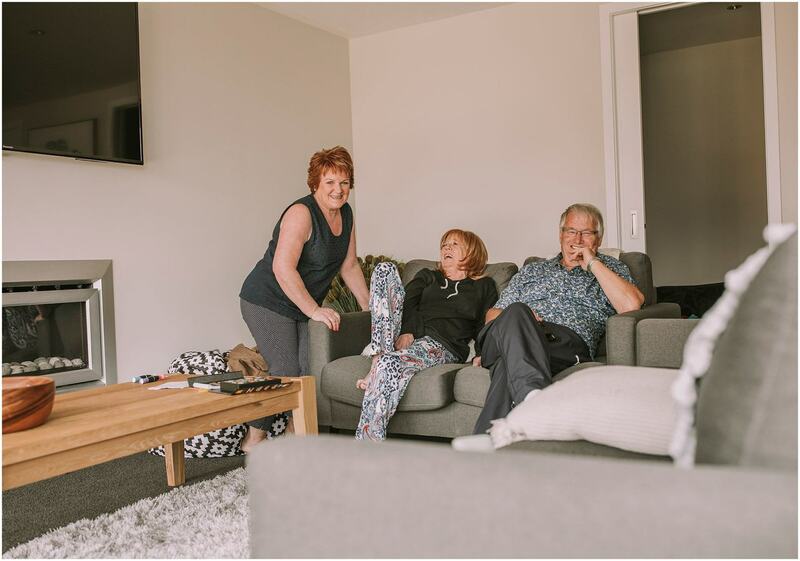 You have a very natural way of being and a relaxed manner which I also appreciated.I think my Mum made the most insightful comment when she said she didn’t even notice you were there half the time and when she did notice you, she could tell you were telling a story. 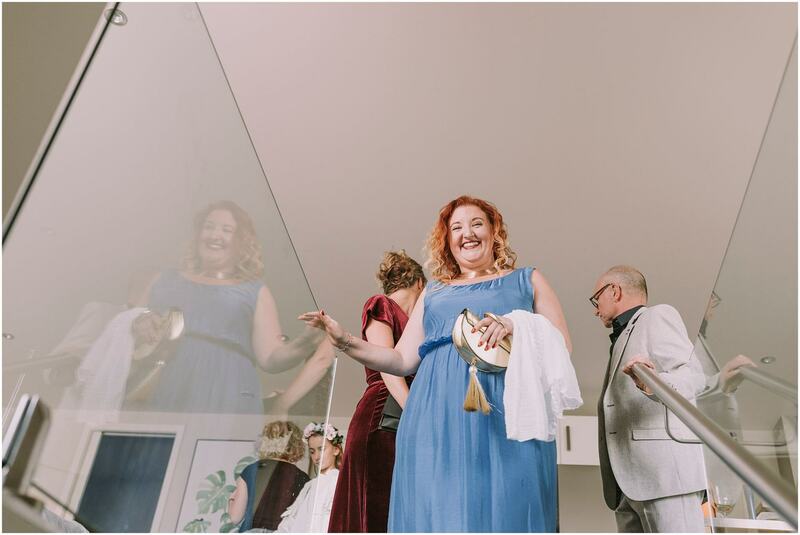 And what she meant by that is that you weren’t sacrificing other people’s ability to be in the moment to set up the perfect shot. 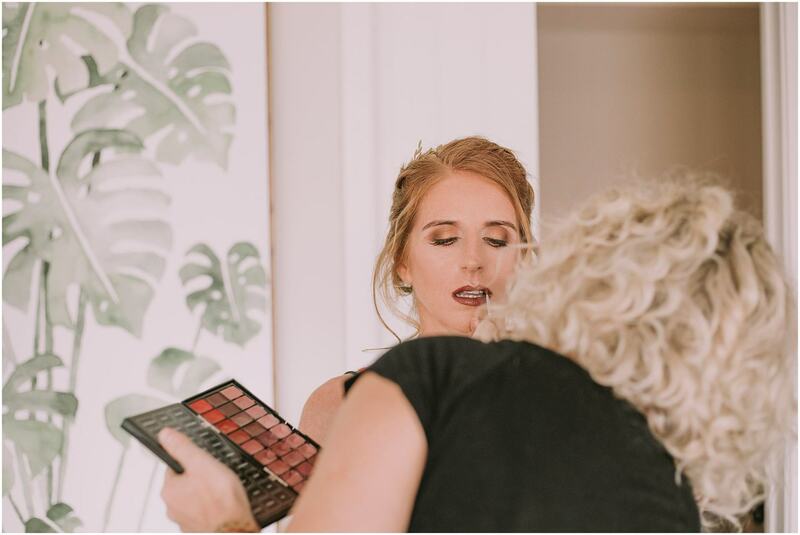 She meant it as a huge compliment.I can’t wait to see what you captured. 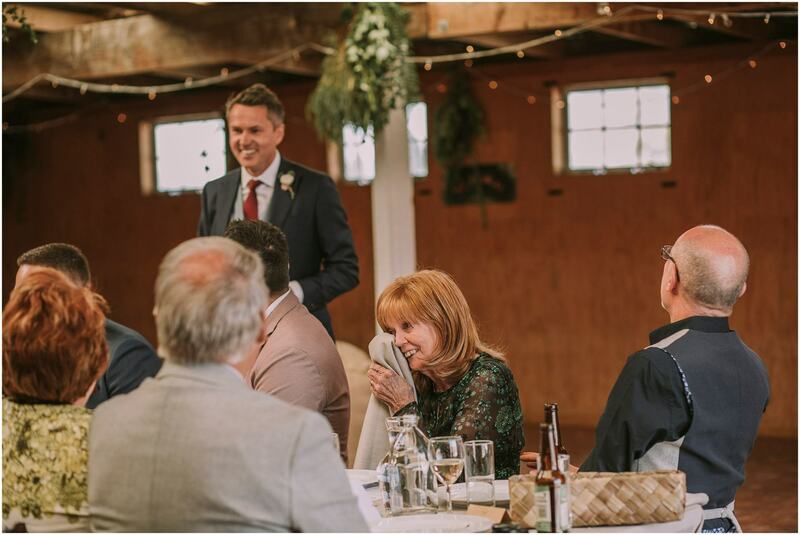 But until then, I wanted to say thanks. 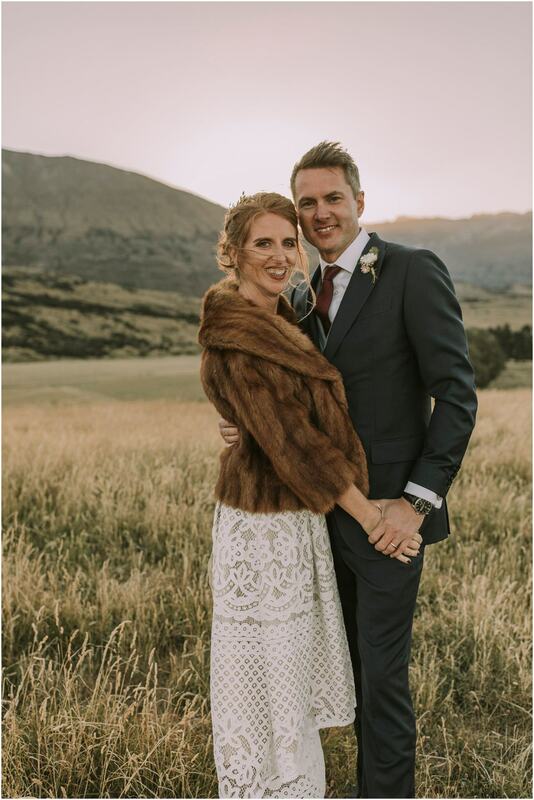 Please let us know if there is a way you would prefer us to leave a formal review as we couldn’t recommend you more highly,” Tara and Tim.